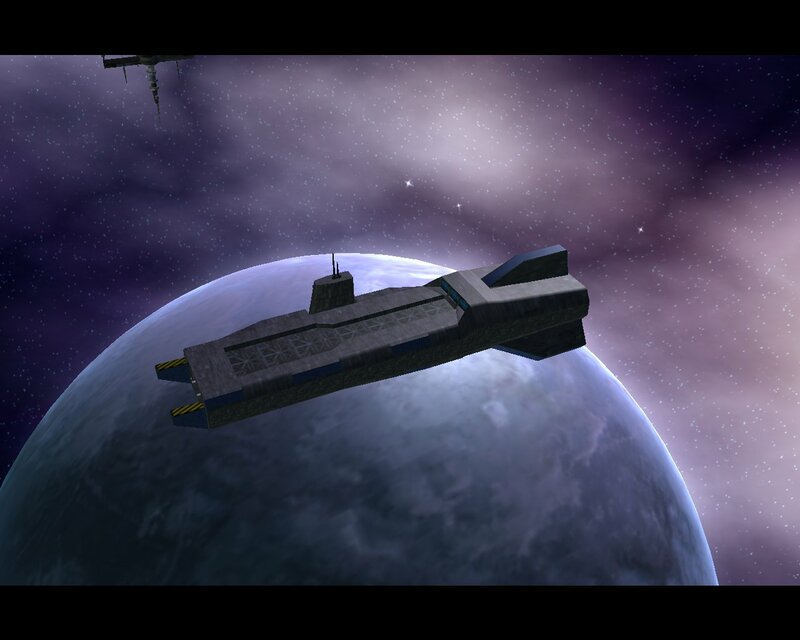 All space combat lovers remember Wing Commander. What they remember more is trying to fly for the first time. You take out your fighter with Spirit, a fellow pilot whose honor is apparently "to obey". Once you get the hang of Wing Commander flying is a breeze, but that first time out in space against enemy ships sure was a pain. 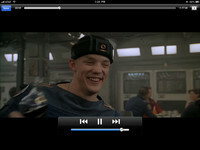 That is, until you finally destroyed a ship, which resulted in an unbridled amount of happiness. Wing Commander games are well known for their cockpits. The tiny little viewport on the Tarsus gives the ship quite a bit of character. 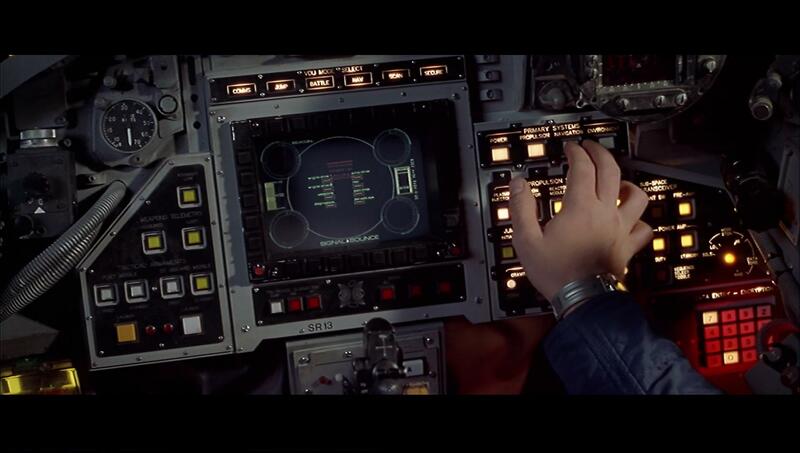 The bright colors of the Hornet or Sabre in the earlier games are classic, and the 'photorealistic' dashboards in Armada or Wing 3 added to the immersion. 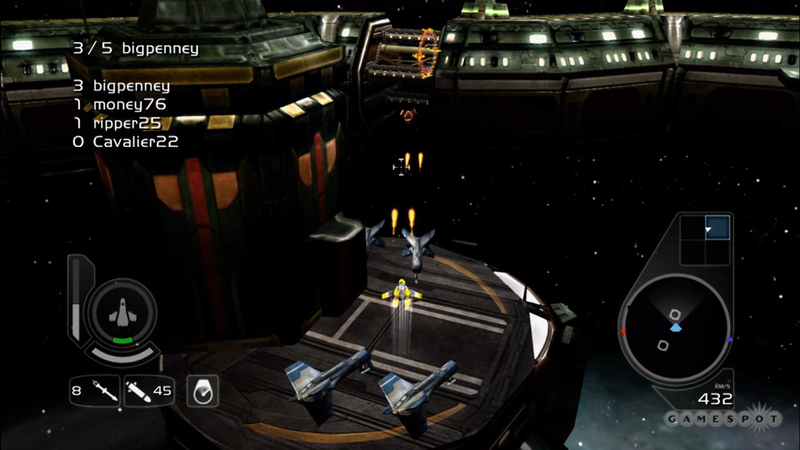 Lots of Wingnuts were also happy that these games added dropaway invisible cockpits, and the wide open struts with HUDS model became the prevailing perspective by Wing 4, Prophecy and Secret Ops. 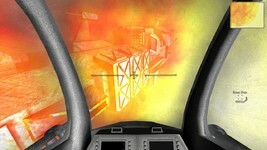 Which game has your favorite cockpits? The last poll asked about the best bonus items available in Wing Commander retail boxes. Blueprints such as those included with WC1 won out, and a large map such as what came with Prophecy were a strong second. Soundtracks were also somewhat popular. 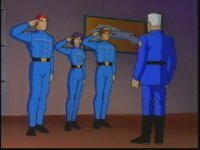 "The assault team accomplishes their mission..."
"...but only at a terrible cost." Highball is still taking the fight to the Kilrathi and has successfully succeeded in the Vega Campaign. 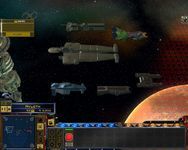 The Secret Missions and SM2: Crusade have been thoroughly reviewed, rated, commented, screenshotted and digested as part of his Wing Commander Project. What a great ride it is to replay these games after so many years. 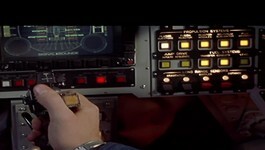 I strongly encourage those who've been flying a desk for too long to jump in the nearest cockpit! I can officially say "HOLY COW," now that I am done with the Secret Missions 2 page. Over 100 screen shots and several hours later, I might add. The total number of new screen caps on that page is 104, which is close to 1.75 times the amount I took for the first two pages combined. 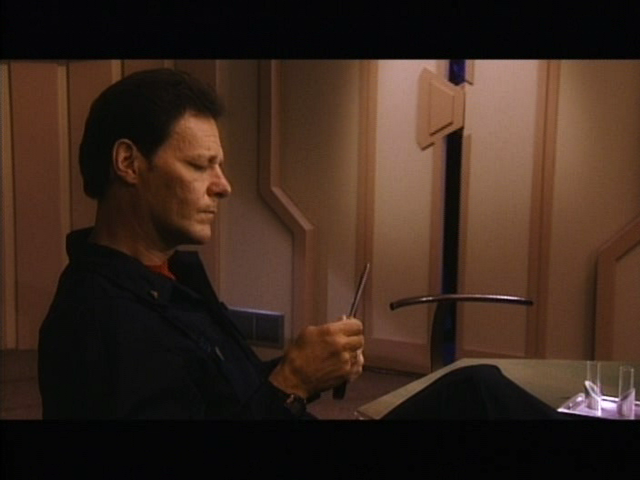 Most memorable mission: It's gotta be the disruption of the Sivar-Eshrad. 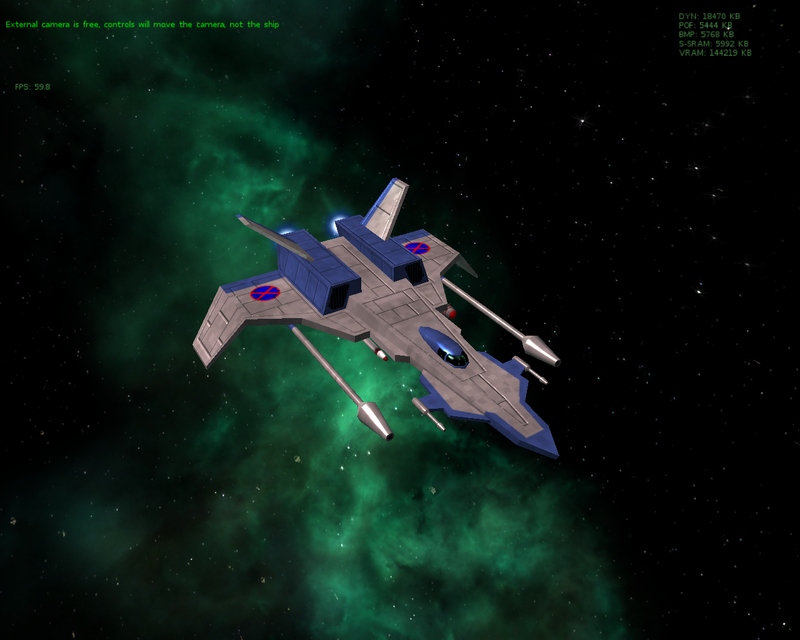 However, a close second would be the first time you get to fly one of the Dralthi-class medium fighters, before I found out just how un-desirable they really are to fly, especially when you're outgunned. IGN UK has posted a new interview with Mark Hamill. The primary focus is his voice acting career with the Batman series, and there's some interesting stuff about how protective he was of the Joker character. He'll be voicing the next Batman game, Arkham Asylum 2, and he's also working to direct a film adaptation of his Black Pearl comic. On the subject of video games, the article also has some real cool perspective on acting in the Wing Commander series. Check out the full Q&A here. Thanks to Vinman. Hamill may not know what went wrong but he's well aware of the challenge presented when involved in non-linear acting. "You can't tell when you're doing with these scripts that are thicker than two phonebooks, where you're doing every eventuality. There's a middle decision, a radical left, a radical right." 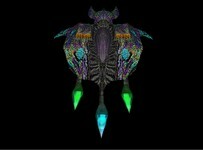 Wing Commander, he says, was "positively schizophrenic. I thought Malcolm McDowell was going to strangle someone on that, because you can't put together a character the way you do in a traditional narrative. 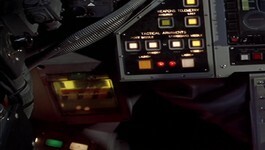 One character comes up to yours with a plan and the general, Column B response is, 'Oh, OK… I'll get back to ya.' But then we do Column A and it's, 'You know, we've been going over this plan. It's brilliant!' And then it's Column C. 'Why do you waste my time with mush like this? GET OUT OF MY OFFICE!' You know, it's not the same guy. He's either reasonable or he's a pushover or he's just so antisocial he's almost psychotic. These are puzzle pieces that empower the player." Hamill has figured out those challenges over the years. "I love games, puzzles. It's all part of my DNA to the point where I got what Chris Roberts [creator of Wing Commander] was trying to do. They're not the same goals you have in a play or a movie. But once I got the lie of the land and what it would become when it was all finished, that allowed me to get through the agony of the triple load of work you get." 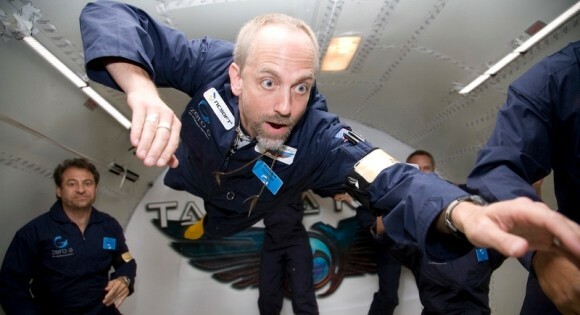 There's a new interview with Richard Garriott, and while Lord British spends a considerable amount of time these days working on the commercialization of space, this article is centered on gaming. The Q&A has some great insight into the thought process that brought about Ultima Online and refined it during the first few years. The discussion even mentions how Lord British recommended Wing Commander Online take priority over UO2. Although development on WCO and Privateer Online was begun and UO is still going thirteen years later, ultimately Origin never properly recovered from this rushed transition to MMO games. Check out the full interview at Massively here. If Ultima Online 2 hadn't been canceled and you were still part of the project, what would you have liked seen done with the title. Ooh, complicated question. When we did Ultima Online, the team said that the game was a living, breathing entity that would continue to grow and evolve. So our advice to our publisher at the time was to do Wing Commander Online or Crusader Online, but not Ultima Online 2. By starting UO2 immediately, we had to have every feature that was in Ultima Online already, which was a moving target. But we were told to start UO2, and we knew that it was going to be bigger and take longer and require more and more money. 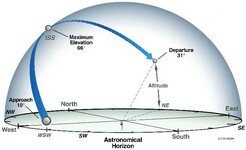 As we predicted before we started, people eventually got tired of the ever-expanding scope and canceled it. Dunradal and other dedicated Wingnuts working on the WCPedia are organizing a concerted summer push. Contributors are discussing better ways to organize all the data that can be collected and have developed some new page templates. There's also a project list of important priorities for the hundred-plus registered editors to tackle. All assistance is much appreciated - good luck team! This summer I've got a lot more free time so I'm going to concentrate on WC1-SM2 mission entries as well as some format/layout improvements to some key WCPedia pages and categories. I'm creating a list of small projects that anyone can help with. Some don't even involve content creation, but instead organizational work like reformatting categories. I also need some graphics help (things like image navigation maps for certain areas) as well as traditional content upload. There is something for everybody. Please don't be shy! Do your part for the Confederation war effort! Here's to a productive summer season! I'd love to have a lot of new content to show off for the CIC's birthday in August. 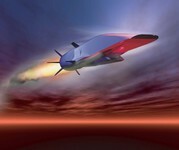 The US Air Force, Boeing and Pratt & Whitney set a new record for supersonic flight yesterday. The X-51A WaveRider was launched from a B-52 and peeled away with hits supersonic-combustion ramjet engine at approximately Mach 5 for some three and a half minutes. The longest scramjet burn prior to yesterday's test lasted just twelve seconds. After terabytes of telemetry are analyzed, three more demonstrator aircraft will target even faster and longer flights. One of the longest-running Wing Commander RPGs, The Edge of Chaos, is looking for new members! The group turns fifteen years old next year, but they're still alive and kicking. 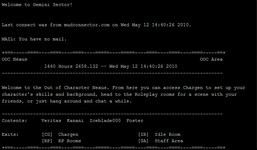 Events are primarily conducted on IRC, and they also do some role playing on their forums at WCRPG.com. Keep an eye on the website in the future as they continue to restore items that were lost in a previous server crash. TEOC is still alive! We were just hiding from the bad people who murder innocent websites for no good reason. It’s been a long time since our first session in November of ’96 and we’ve faced our share of challenges like our web provider imploding our website. It’s taken a while but we’re at a point that we aren’t flying under the radar. An old version of the website is back online and we’re in the process of updating documentation, maps etc. We’re lean, mean and going strong. As long as our players are happy and we are able to get together and have fun there is no reason to stop. The Edge of Chaos has definitely taken conventional WC-dom and turned it on its head into a happy little AU. The game is a far cry from the days at the end of the Kilrathi war, but that doesn’t mean that things are much safer in 2679. 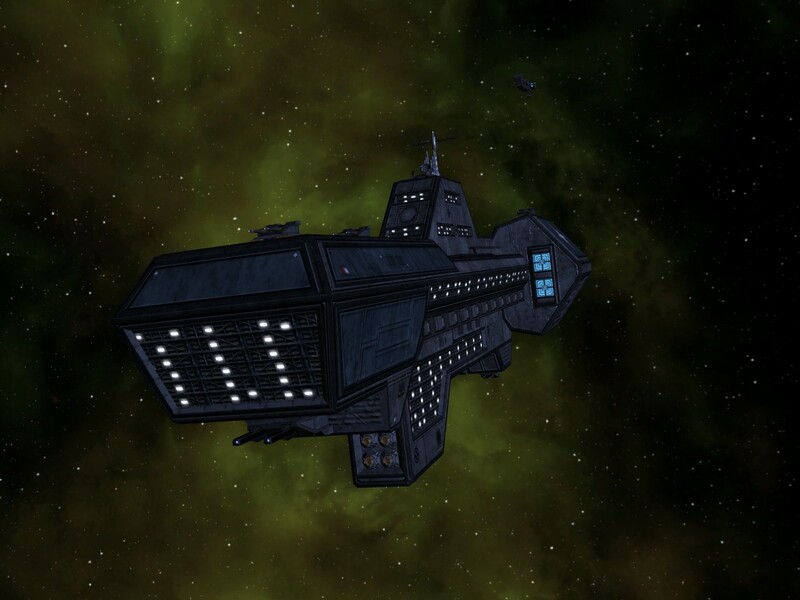 The Confederation is a pale shadow of its former self having lost in a Civil War, having turned into a totalitarian government after the invasion of an extragalactic species known as the Harvesters. And we’re still trying to figure out what’s going on in Kilrathi space. 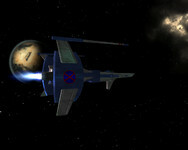 The Alliance of Baran and Vortath Systems (a government grown out of the systems that would have been ground zero for the Harvester invasion) along with its allies, most notably the Union of Border Worlds, are extremely pressed in their task of helping humanity rebuild itself and protect the Confederation from exterior threats. The players do their part as officers onboard the AVBS Tara`Kaga, an extremely modified Confederation Class Dreadnaught. 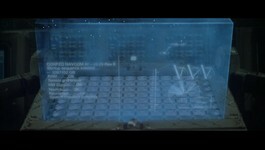 Even with the most advanced technology the Alliance has to offer, they have their work cut out for them. Where are we going? That would be telling, but the sky’s the limit. 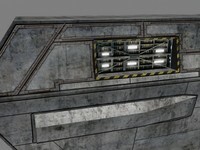 More details can be found in the forums on our website www.wcrpg.com. I stress that a lot of the recent data has yet to be uploaded. We’re still working on it and until recently were afraid of another data failure happening with getting the site back online. We only wanted to do the work once. So take a look and if you’re interested we’ll be more than happy to have ya along for the ride. 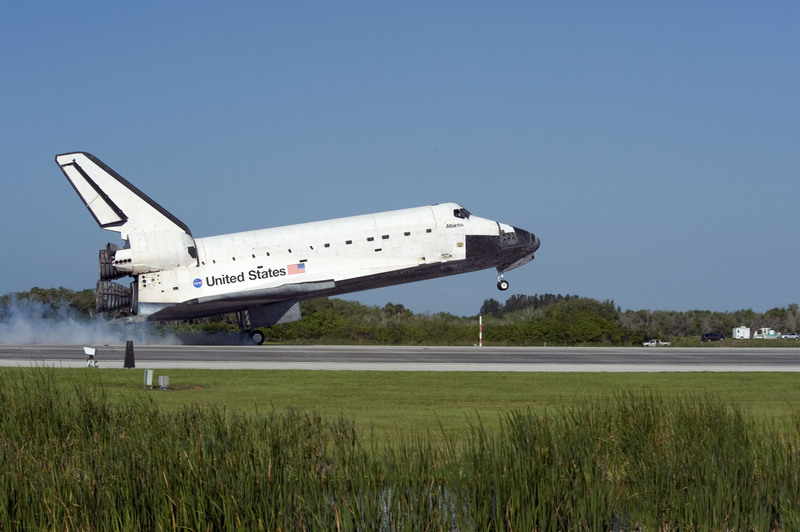 The Space Shuttle Atlantis has concluded its last planned mission with a touch down this morning at the Kennedy Space Center in Florida. Although just two missions are scheduled beyond STS-132, Atlantis will be prepped for rescue in the case that Endeavour requires assistance during its last mission at the end of the year. 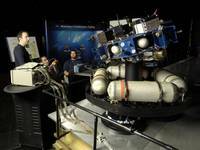 With Atlantis nearly ready for launch, there is a possibility that it will engage in a final 2011 resupply of the International Space Station with two Soyuz capsules acting as an emergency backup. 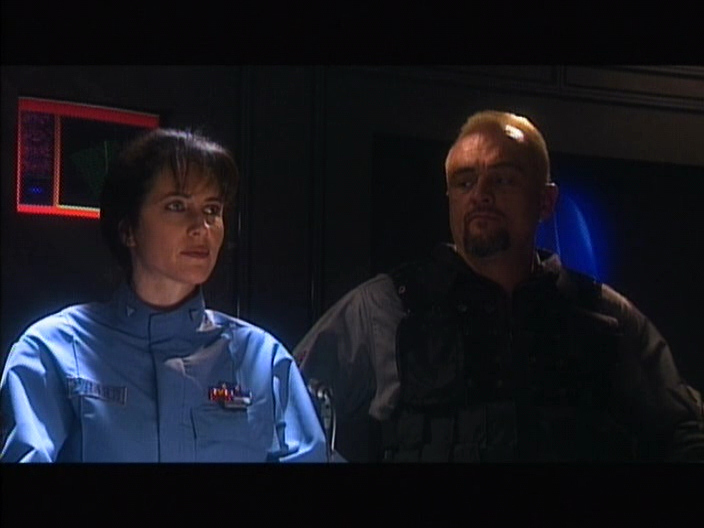 The Wing Commander Movie will be airing this week on the major Arab-language network MBC. MBC 2 Movies will be showing it at 1:00 PM KSA / 10:00 AM GMT on Friday, May 28. 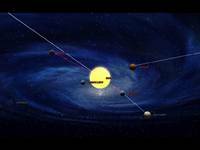 Satellite frequency information can be found here. Check out their plot description below. 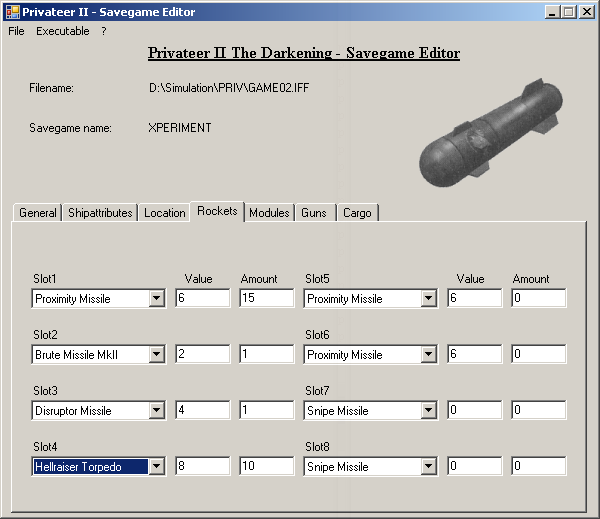 Instructions on how to integrate these files into the actual game are available here. The intro movie (included in pack 1) is also available as a separate download from the Holovids section if you want to check out the quality, or check out the handy comparison to see the differences side-by-side. 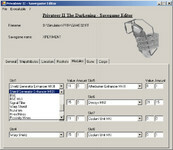 Descriptions of each scene by file name are also in a handy article. 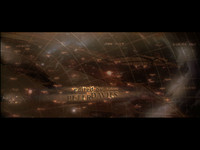 Be sure to visit the Holovids section for more cool stuff to download. You can never watch too many Wing Commander music videos, Academy TV episodes and Privateer 2 cinematics! The WC Saga team is finishing up their Southampton class destroyer, and it's looking pretty mean. 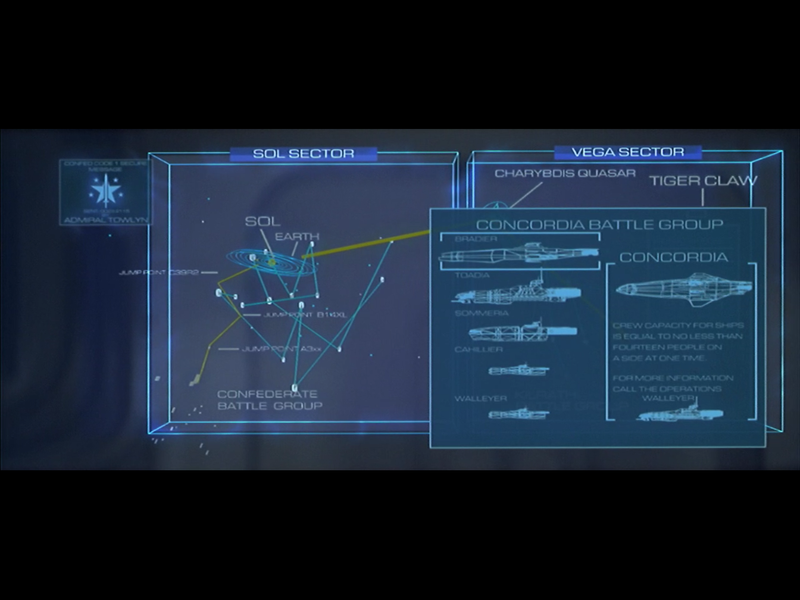 I like how the window lights on the bow in the middle shot look like they spell 'CIC'. These versatile and multi-purpose vessels can be found as part of larger battle groups or in destroyer squadrons or alone, competent in both a standup fight with other hard-hitting warships or assisting in anti-aircraft duties. Very well shielded and armored for its size, they are capable of engaging in ship-to-ship combat with either its powerful energy weapons or its array of missile batteries. 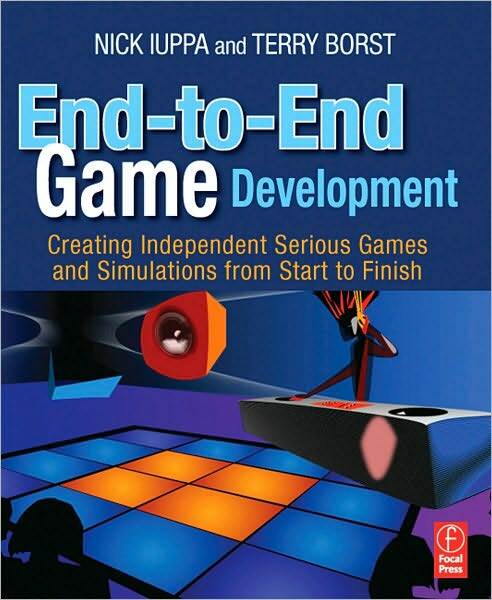 Terry Borst, one of the acclaimed writers of Wing Commanders 3 & 4, has co-written a book on game development. End-to-End Game Development: Creating Independent Serious Games and Simulations from Start to Finish is geared towards new game developers who have to perform multiple roles. Amazon provides a number of sample pages for prospective buyers to gauge the style and content. The first person who picks this up should let us know if there's any WC anecdotes! Terry Borst is a Writers Guild of America member with credits in feature films, episodic television, and videogames, including the award-winning WING COMMANDER III and WING COMMANDER IV, and Microsoft's space adventure game FREELANCER. 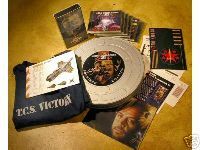 He has also taught screenwriting and multimedia design at UCLA, USC, the College of Santa Fe, the Banff Centre for the Arts, Moorpark College and various conferences and workshops. * Step-by-step no-nonsense approach to developing games from start to finish (graphic arts, software engineering, designing, producing, marketing all covered). Indy game developers will gain a clear understanding of what's involved. * Demonstrates a proven process for meshing gameplay and story to create an immersive experience for the player. * Even experienced game developers will benefit from some of the coverage, especially: setting curriculum goals, setting client expectations, and client management. 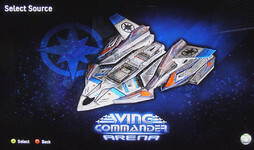 There's a new way to purchase Wing Commander Arena directly from your computer! Back when the game was first released, a handful of Wingnuts unable to get an XBox system still wanted to purchase the game and contribute towards its sales. This wasn't possible in 2007, but xbox.com has been upgraded with this functionality now. Just to clarify: nothing has changed about the game itself, and Arena is still only available to play on the XBox 360. This new purchase option is fairly easy though - the steps to follow are listed below. 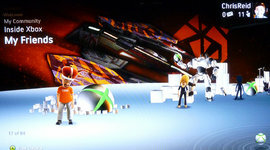 Microsoft has also posted a FAQ on the process. 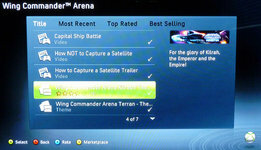 This same method can also be used to purchase the recently discounted Arena Themes. 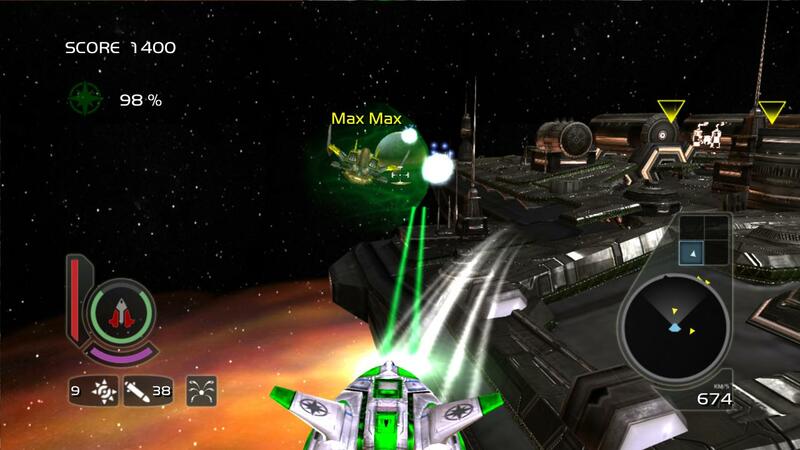 Wing Commander™ is back with an all-new game for Xbox Live Arcade. Form a squad and destroy enemy armadas as you climb the leaderboard. Featuring four modes of gameplay, nine maps, and the first 16-player action on Xbox Live Arcade, Wing Commander™ Arena is the perfect mix of classic arcade fun and modern multiplayer chaos. 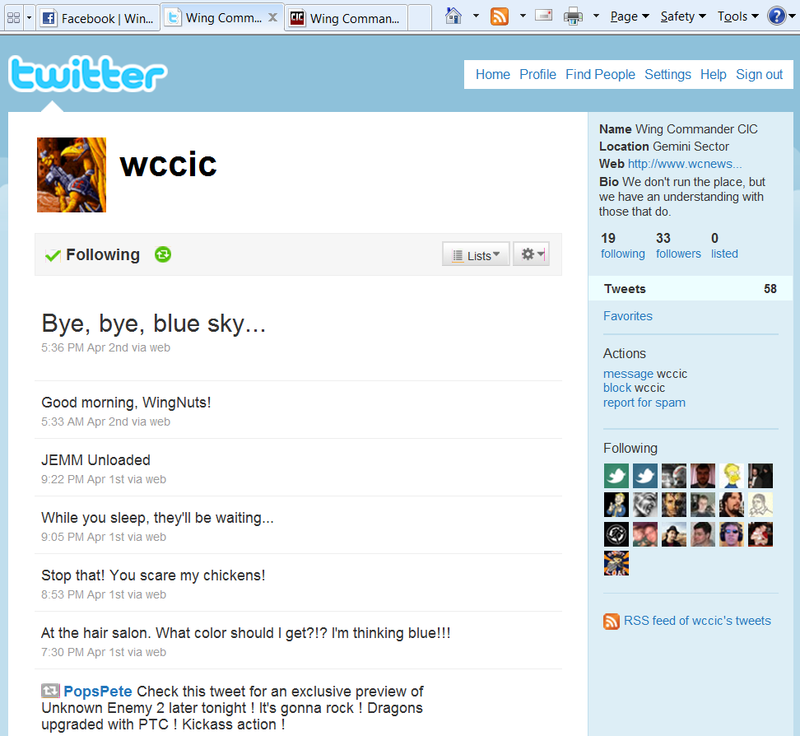 Thanks to all the dedicated Wingnut followers, the CIC's Facebook page gets a username and short url. 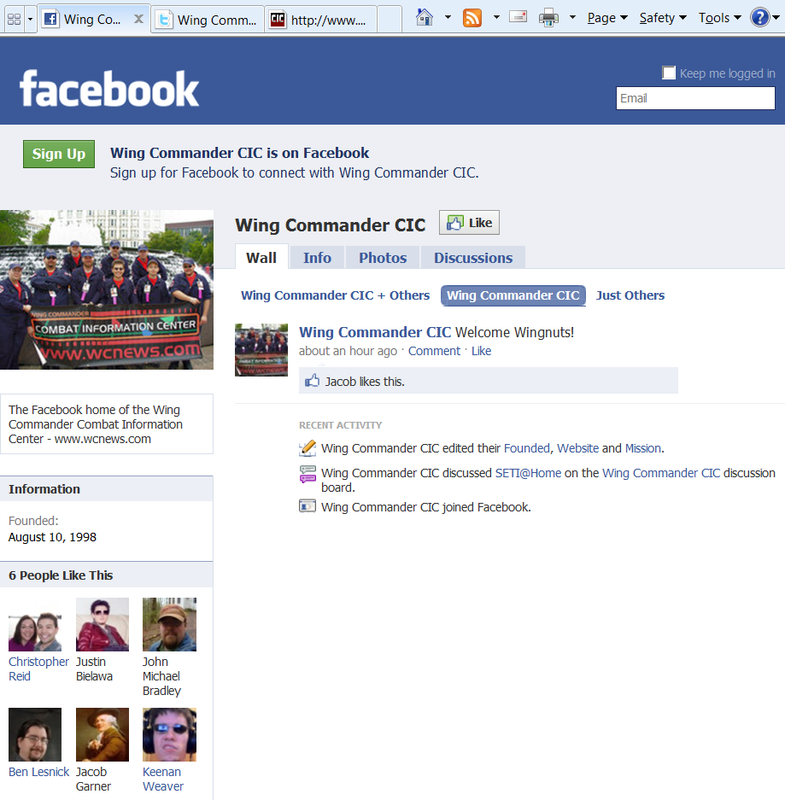 The page can now be found at http://www.facebook.com/WingCommanderCIC. Hit the 'Like' button to follow us and stay in the loop. The page is used to keep fellow fans informed about breaking news events and share some behind-the-scenes peeks at CIC operations. For everyone out there who's been wondering what Science Officer Aurora Finley's been up to for the last ten years, wonder no further! Former actress Mindy Hester spent a couple years acting on television shows after her role in Wing Commander Prophecy, but she has since found her true calling in music. 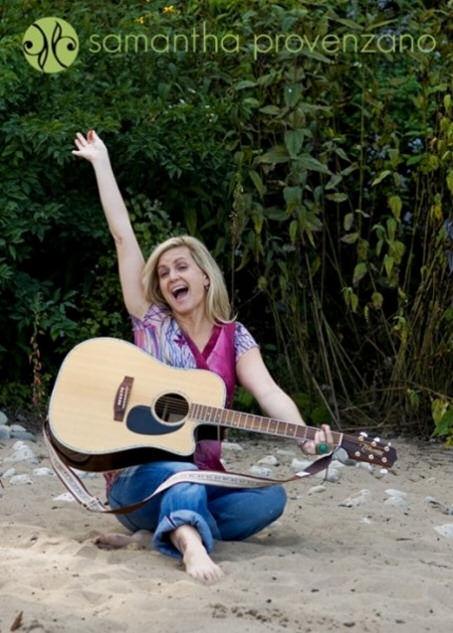 She now writes and sings specifically for children and is known for her classic rock-inspired tunes. Chicago area Wingnuts can catch her performing special events at venues such as schools or book stores. Her official website has a show schedule and listening room to hear some of her songs. 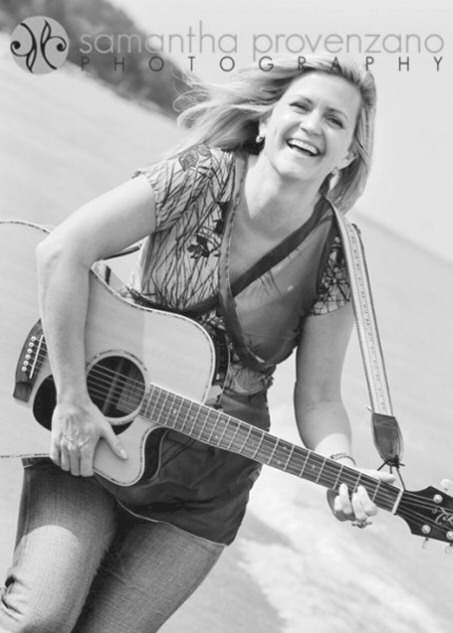 Mindy made the beautiful discovery that passion and responsibility are not always as far apart as they may seem and "Mindy's Music" was born. A 37 year old Chicago native and mom, Mindy began performing as an actor, graduating from the Theatre School at DePaul University in Chicago in 1992. She went on to do television and film roles while living in Los Angeles until 2000. She returned to Chicago and began teaching at The Old Town School Of Folk Music, in the adult guitar and Wiggleworms children's music program. She currently lives in Chicago, and tours the midwest year round. 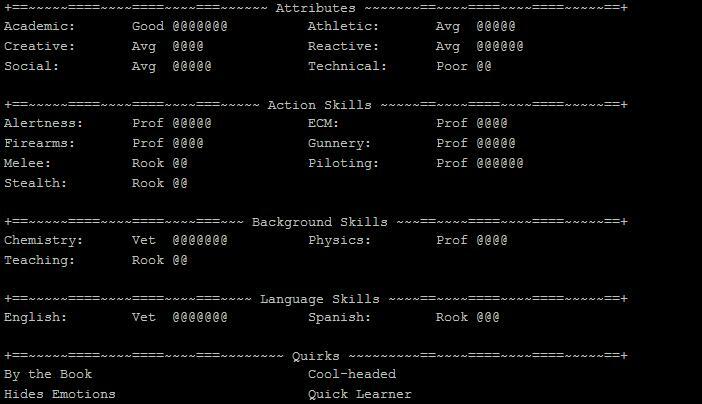 There's been two cool upgrades to Privateer Ascii Sector this week. The first primarily fixes a bunch of bugs, and the second upgrades the Quest Maker with a variety of new functions. The navigation computer has also been revamped to be easier to use. And watch out for security on the casino ship! Grab version 0.6.5 here. 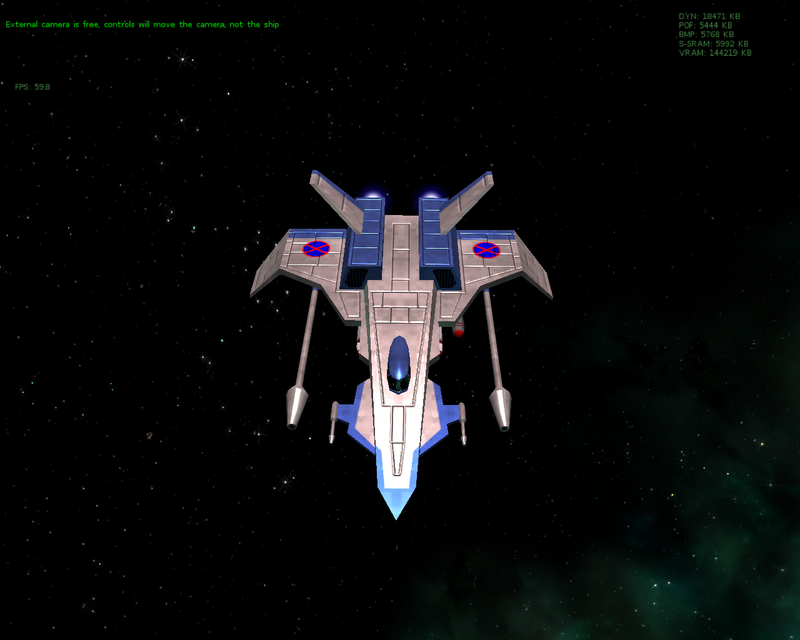 - Fixed bug with the MoveTo quest script ship order. - Fixed bug with NPCs spawning in locked hotel rooms. - Fixed bug (maybe!) that sometimes caused the game not to ask if you wanted to dock with a disabled ship. - Fixed bug with the locker on board the Demon. - Decreased the distance from nav points required to engage autopilot. 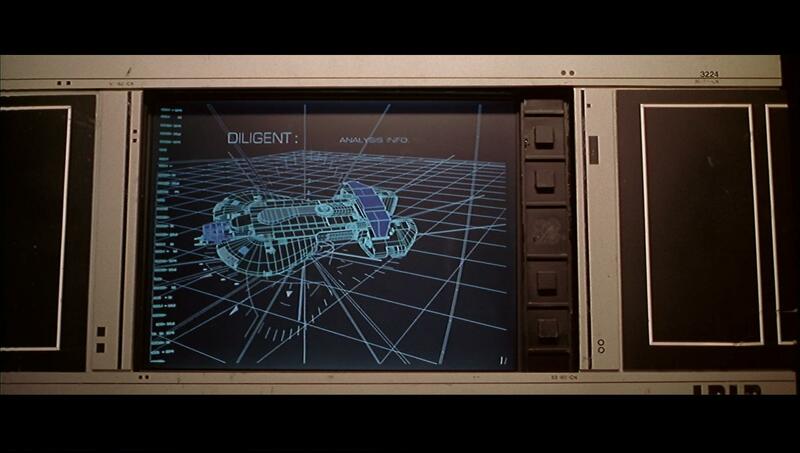 - Overhaul of the maps in the nav computer and the Quine5000. You now click-and-drag the quadrant map and you can chart a course through multiple systems (clicking on a system will automatically chart a course to it, or you can chart a specific course by clicking on consecutive systems while holding down SHIFT). - Fixed New Frankfurt data file bug. - Fixed minor bugs with course charting in the Quine and nav computer. - Fixed bug with pathfinding of fleeing NPCs causing the game to freeze on a very small base. - Fixed bug with increased movement time when burdened. - Fixed bug with inventory weight not decreased when you use up all ammo in a clip, when a vest or helmet is destroyed, or a weapon is knocked or shot out of your hand. 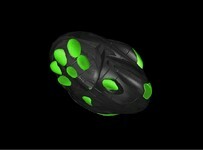 - The casino guards now also check for weapons and armor in your backpack before granting access to the casino. 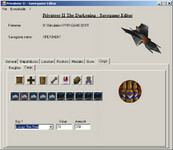 - New quest scripting functions: characters can be placed on ships; quest items can be given weight; optional SpawnCharacters function to control how many random characters to spawn on a quest ship when boarded; PlaceItem trigger result replaces PlaceItemOnBase and GiveItem; new Docked, Boarded, FactionAttitude and DistanceTo trigger events; new BoardPlayerShip, LeavePlayerShip and BoardDockedShip character orders, as well as Faction attribute for quest characters. Check the updated Quest Maker's Manual for details. 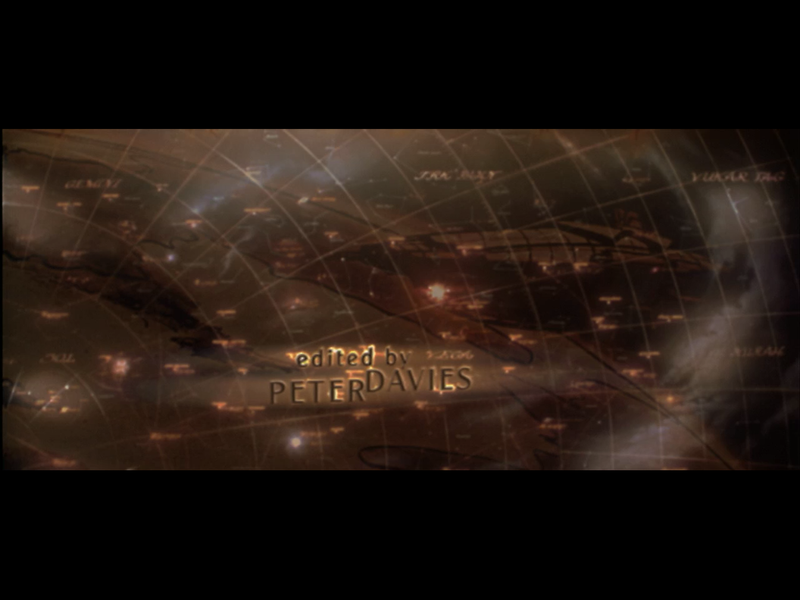 Here's some more nifty shots from the 1080p broadcast of the Wing Commander Movie. 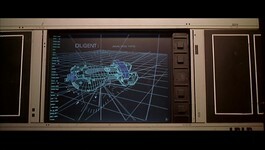 These reveal a few of the super interesting computer displays from various points in the film. Apparently the Tiger Claw's NavCom AI has 2 petabytes of RAM! 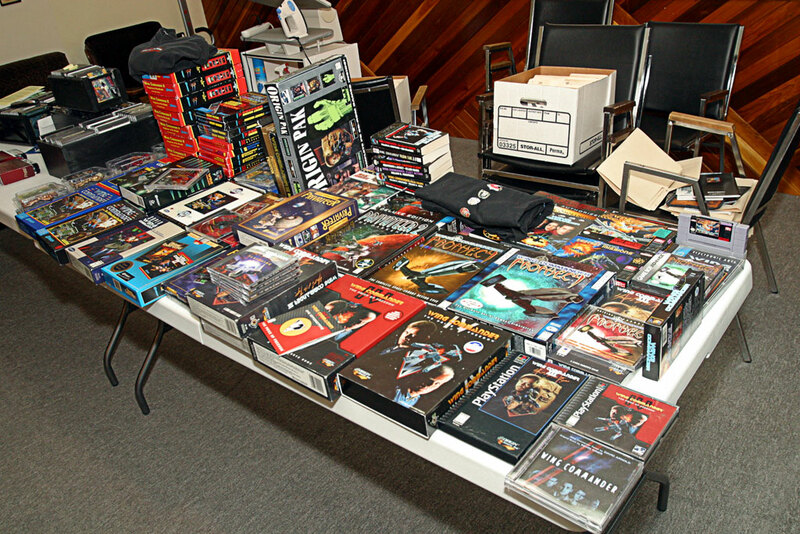 Broadcast has reposted a variety of fan fiction from the late 1990s. Some of it should be familiar to old members of the WC Aces. The stories were originally sent out chapter-by-chapter via email, and different authors would pen individual parts. He's looking to wrap up some of the old unconcluded adventures, such as Battle Cry, Red Storm and The Armageddon Factor. 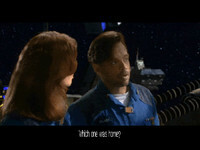 Check out the CIC Fan Fiction Forum for more. Captain Jim Cromwell stood on the bridge of the TCS Agamemnon, wondering how this disaster had happened. This was the only carrier that hadn't been hit (so far) by the damned Kilrathi. He had lost two destroyers in the last hour, the Stardagger and the Merrimack, and his own ship, the carrier TCS St. Nazaire. He and most of the crew had been able to abandon ship, against his better judgement. He watched as the six Cat ships, all of them Sivar-class Dreadnaughts, as well as their fighters, ruthlessly attack his task force. His boys had taken one of them out, and the boys from the rest of Ruchard's fleet had taken out two more, but the Cats were still winning. 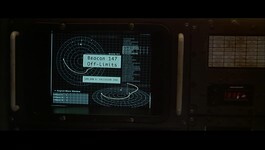 He looked at the battle display, seeing at least three times as many enemy dots as friendly. A spread of torps leapt from the nearest Sivar and shoot towards his ship. "Deploy the rest of the anti-torp missiles! Try to get a lock on their lead ship!" "Fire! Full spread! Throw everything we've got at them!" The torpedoes flew from the bays of the Agamemnon, many of them being shot down before they ever got near the Dreadnaught. 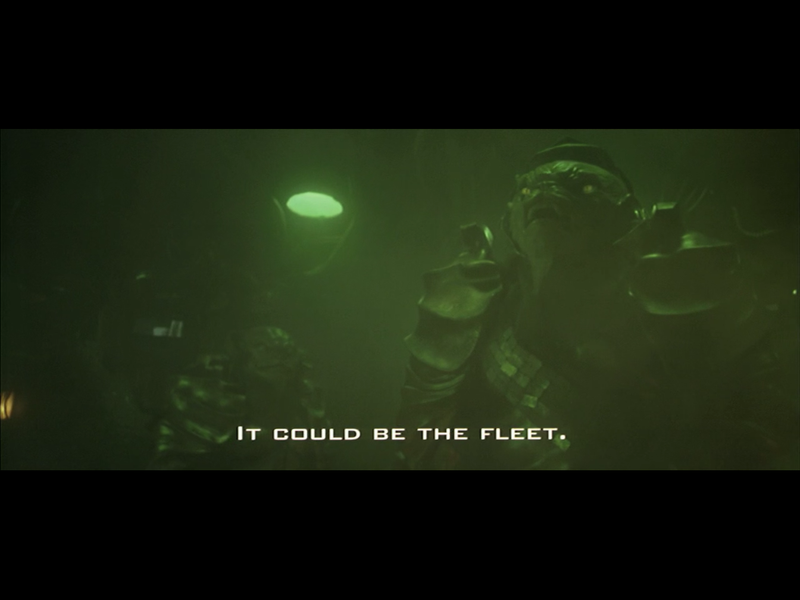 One did hit the big ship's shields, but did little to it. "Prepare to fall back," he said. Wing Commander Arena themes for the XBox 360 have gotten a big price cut! They're available now for just 50 MS Points, which is down from 150 points originally. At the going conversion rates, this makes the price today just slightly more than 60 cents! That's an incredibly small price to pay for various Darket, Dralthi, Paktahn, Arrow, Rapier and Broadsword variants gracing your screen in beautiful 1080p resolution. 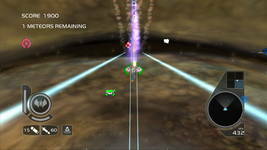 Both theme packs are about 3 megabytes and can be purchased/downloaded from Arena's tab under Arcade games in the XBox Live Marketplace. Note that the way themes are integrated into the background of the current XBox dashboard is a little different than when Arena launched. 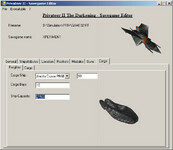 They now appear "on the horizon" behind the current menu selection, although full screen Wing Commander images also fade in and out during menu transitions. Check out how they used to look here. And how about those faction mottos under the item descriptions?! For the glory of Kilrah, the Emperor and the Empire! 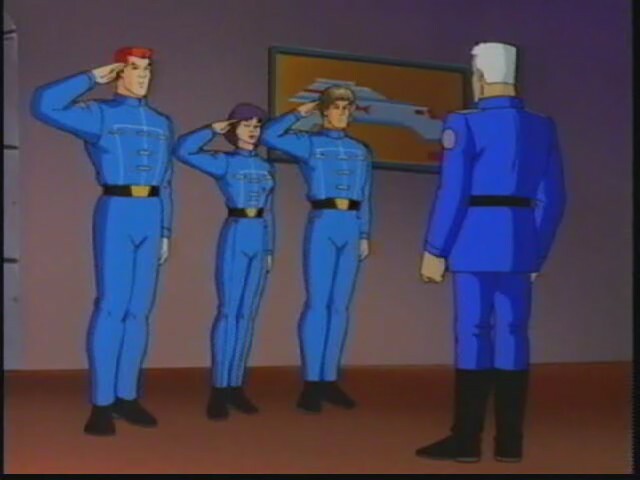 Long Live the Terran Confederation! 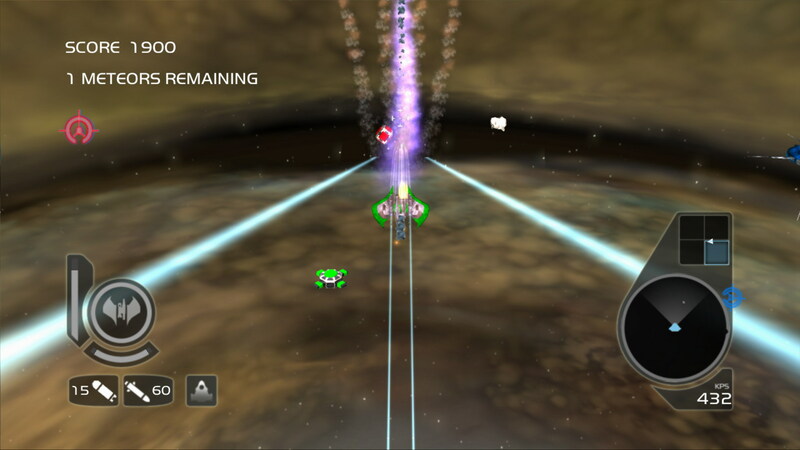 This week's set of releases for Microsoft's Game Room include the 'space sim' that started it all: Asteroids. 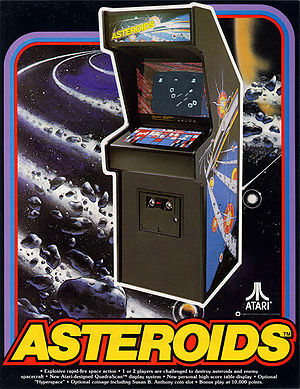 Released in 1979, Asteroids pitted a player's spaceship against increasingly dangerous waves of rocks and aliens. It quickly became one of the most popular early arcade games and still remains a cornerstone of video game culture. 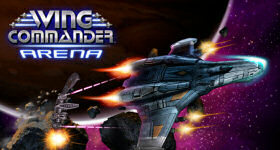 Wing Commander Arena payed homage to Asteroids with its addictive 'Meteor' mode. Arena replaces the player's ship and the flying saucer with familiar Confederation and Kilrathi space fighters and populates the field with endangered satellites... but the familiar flying rocks remain virtually unchanged. 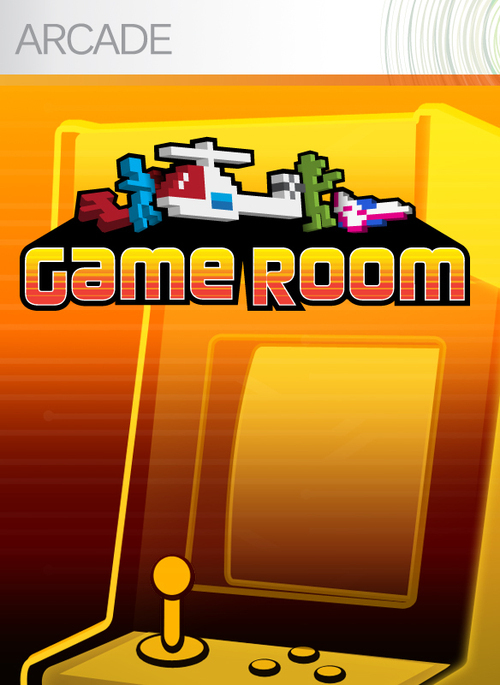 Game Room is a multi-platform emulator interface available for Xbox Live Arcade and Windows that recreates the feel of a 1980s video arcade. Budget-priced classic games are added to the service each week: $3 for use on a single system, $5 on both the Xbox and PC or $0.50 for a single 'play'. Here's some Hornet and afterburner shots from Kevin Caccamo's Landreich-themed mod of WC Saga, Hostile Frontier. 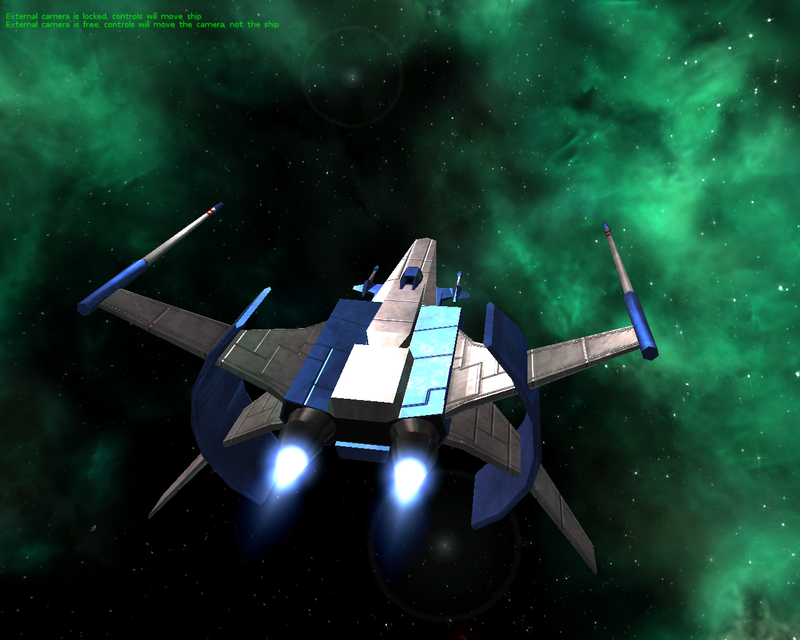 The engine exhaust color was tweaked to look more "realistic." 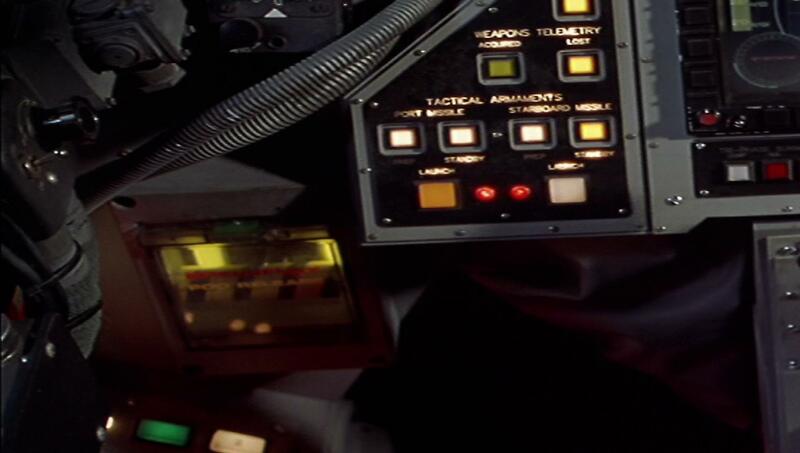 I'm not too sure that the proper color of a futuristic ion drives can be determined exactly, but the orange flame certainly stands out distinctly in space. 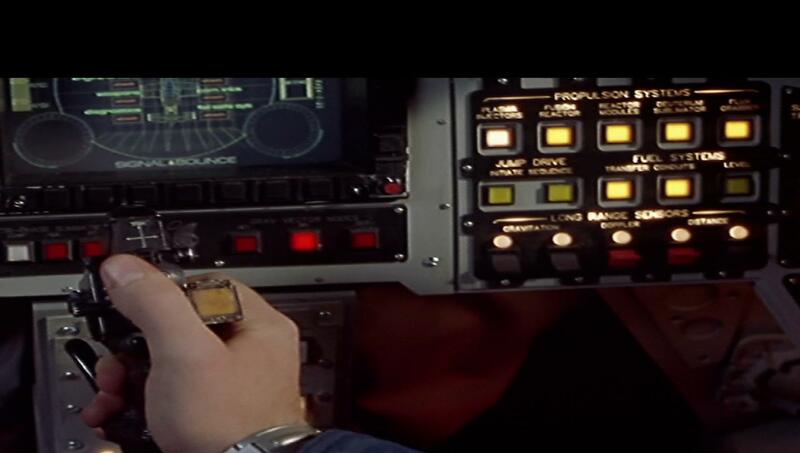 He's also been working an optional upgrade that attempts to give the engine a more intertial feel similar to classic Wing Commander games. Lastly, I've been experimenting with the game engine to try and reproduce the good old inertia/newtonian physics of WC1/2/Prophecy/Secret Ops. 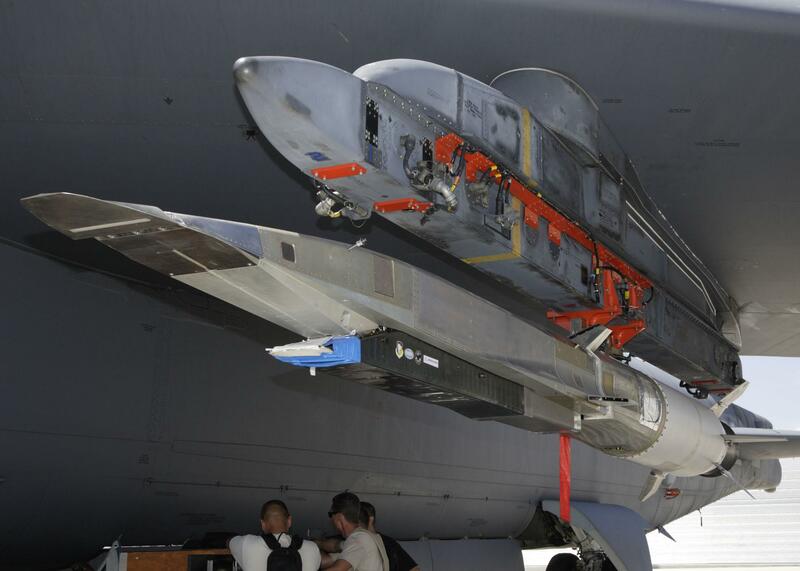 The results aren't quite satisfactory, but it does work to a certain extent; it's good for combat, but not so good for carrier takeoffs and landings. I'll release this physics mod as a separate download from the main WCHF package to give players a choice and a bit of a deviation. The CIC is has a happy anniversary to celebrate today! The old alt.games.wing-commander Usenet newsgroup turns 15 years old! We picked May 18 as its birthday many years ago, although the exact date varies due to how it propagated through various systems and got picked up by different service providers. Check out the charter document that initiated things on April 26, 1995. 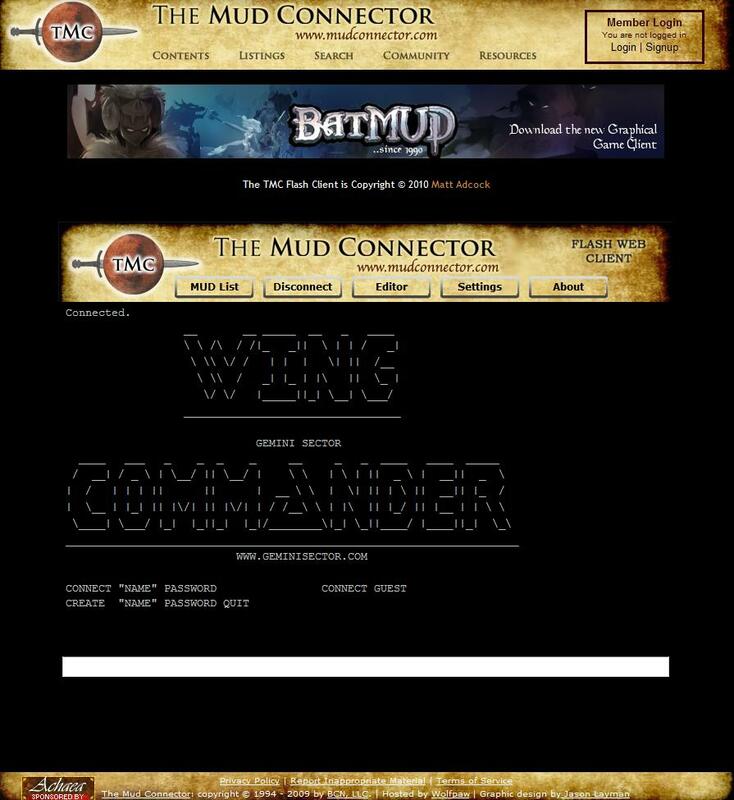 At its peak in 1998 and 1999, agwc typically saw several hundred Wing Commander-themed posts per day, and it's great to see how quite a few of the original posters are still kicking around today. Many of our newer visitors will be unfamiliar with how a newsgroup worked. 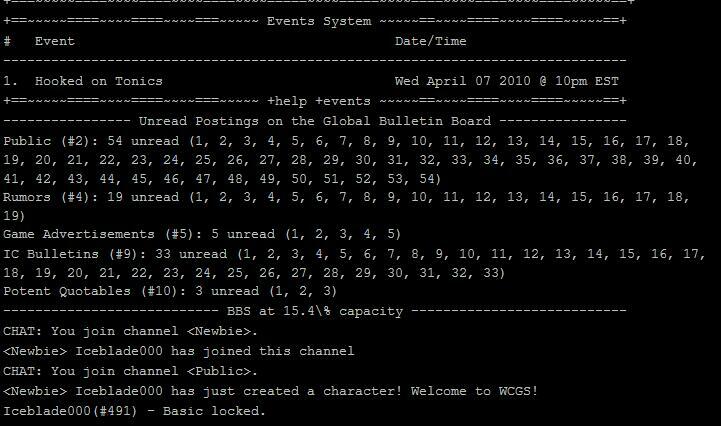 Before the world wide web and anything resembling a modern forum existed, Usenet represented a part of the internet where people could post messages and engage in discussion. There was no owner or moderator, and the participates rallied around their group subjects in an early ancestor of "social networks." Rules were built by consensus and posted at regular intervals in a FAQ. 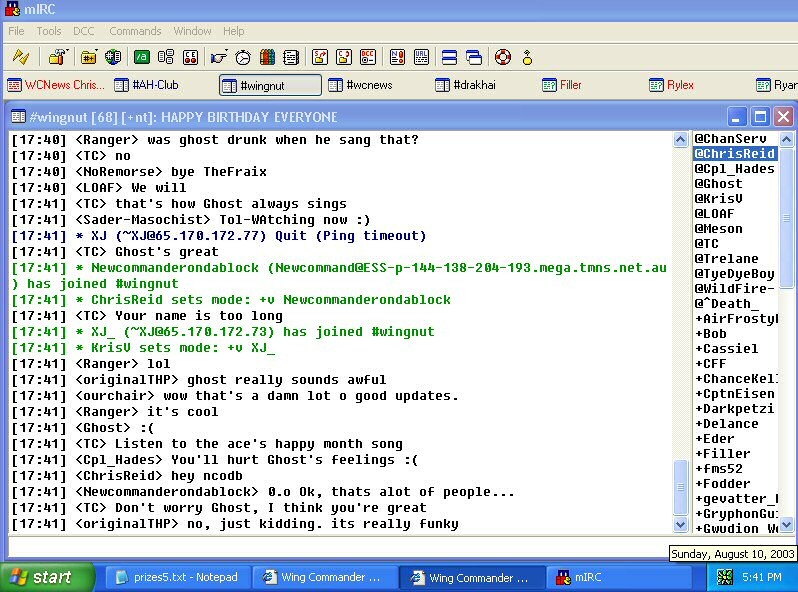 Many of the messages themselves have been archived here by Google, although the default formatting looks a little weird. 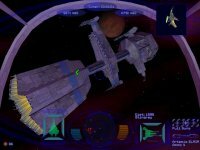 Wing Commander is a game from Origin that has revolutionized computer games with every release. 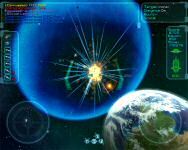 It combines arcade-style action with flight simulation, and augments the usually -dimensional genre with a fully realised science fiction world and a plot. What is this group for? 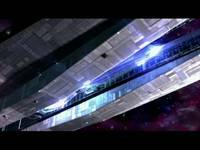 Story, "meta" discussion of the world of Wing Commander, including fan fiction. 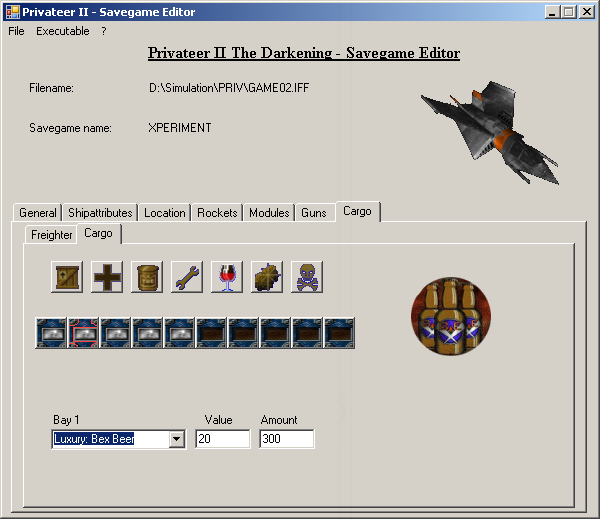 Together with a friend, Lin Kuei Ominae has put together an awesome new savegame and universe editor for Privateer 2. It looks really easy to use and lets you tinker with a lot of things. 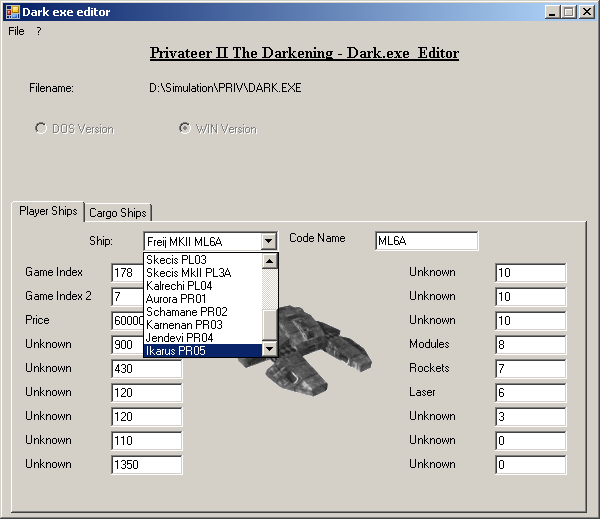 This is a great tool to tune the space combat to your liking and hunt down all those FMV side-plot missions. Grab it here (2.1 megs) and visit the forums to leave feedback! 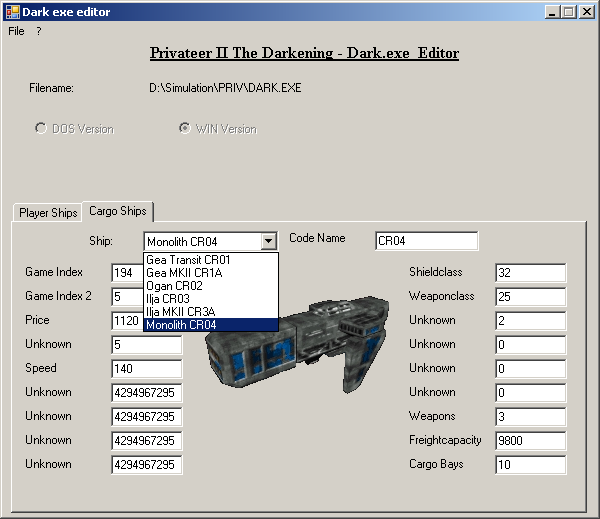 edit the dark.exe (dos and win version support): change player ship price, number of modules/rockets/laser and cargoship price per trip, speed, shield class, weapon class, weapons, freight capacity and number of cargobays. Here's some neat shots of Eddie Benowitz hosting events at the Jet Propulsion Laboratory open house over the weekend. That new Mars rover looks even more like Wall-E than Wall-E looks like Spirit or Opportunity. 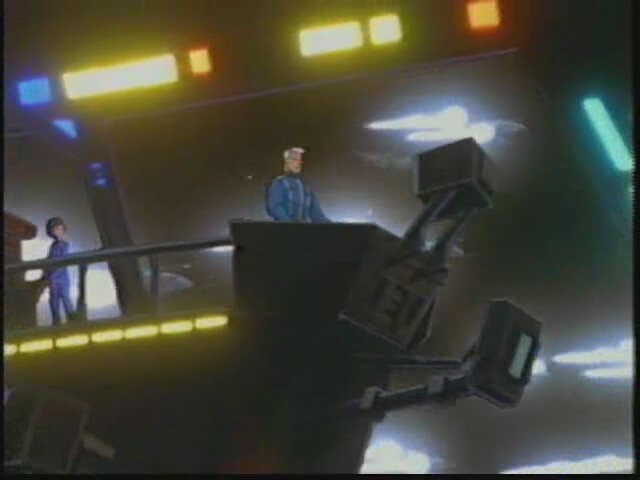 There's also a cool video of Eddie demonstrating the giant robodome. 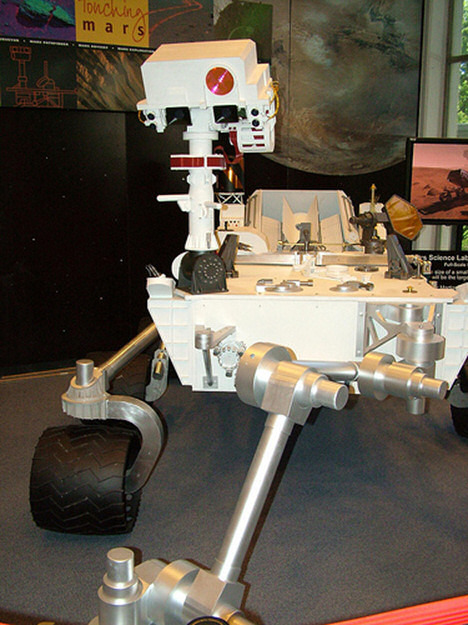 The Jet Propulsion Laboratory is the lead U.S. center for robotic exploration of the solar system, and conducts major programs in space-based Earth sciences and astronomy. JPL spacecraft have visited all of the planets from Mercury to Neptune. 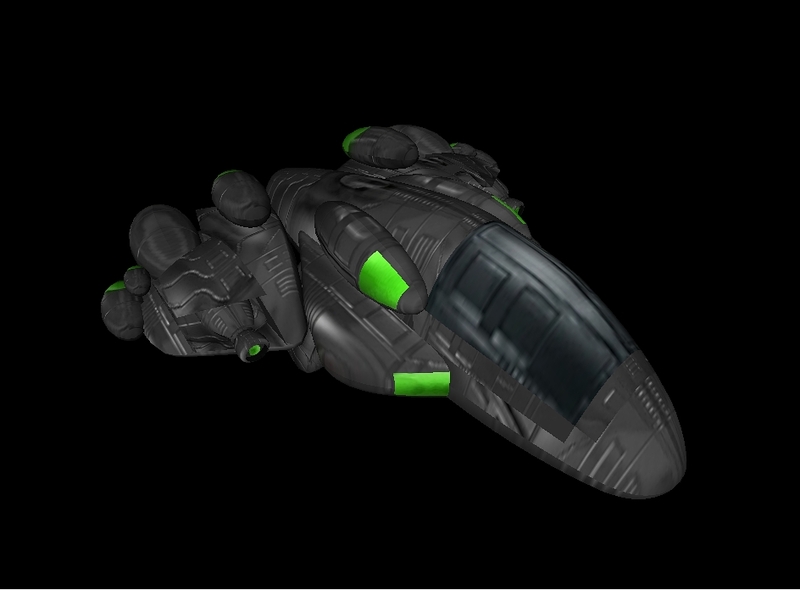 JasonRocZ has modeled several Steltek ships for aspiring modders to use. The egg-shaped Drone and Scout are based off the ships in Privateer, and the Fighter is an extrapolation of the derelect we see in the game. All three are now available in 3DS format (700 kilobytes), and they look pretty sharp. 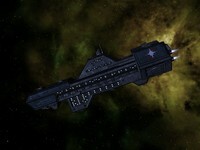 As an extra bonus, the Scout is also available as an insertable ship into Secret Ops. Grab that one here (90 k) and direct any questions to Crius.net. It took me quite a few hours to get it where it is. 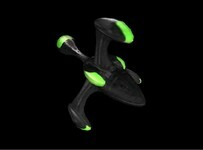 As far as the poly count is concerned, I think the Drone is at 4000, the Scout 2200 and the Fighter at like 12000. For anyone wondering, these will not be used in the WC:CD Mod. 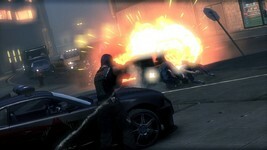 Electronic Arts has reported its fourth quarter and year-end financials for fiscal 2010. The numbers were a significant improvement over last year, but they still represented a fairly substantial loss overall. Revenue of $3.6 billion was down compared to $4.2 billion a year ago, however loss was just $677 million instead of $1.1 billion. Despite some stiff competition from Activision/Blizzard and the first party game developers, EA still came out as the best selling publisher on the PS3, XBox 360, PC and PS2. Madden NFL 10, Sims 3, Bad Company 2 and Need for Speed Shift each shifted more than four million units, and EA's best selling game was FIFA 10 with over ten million sold. 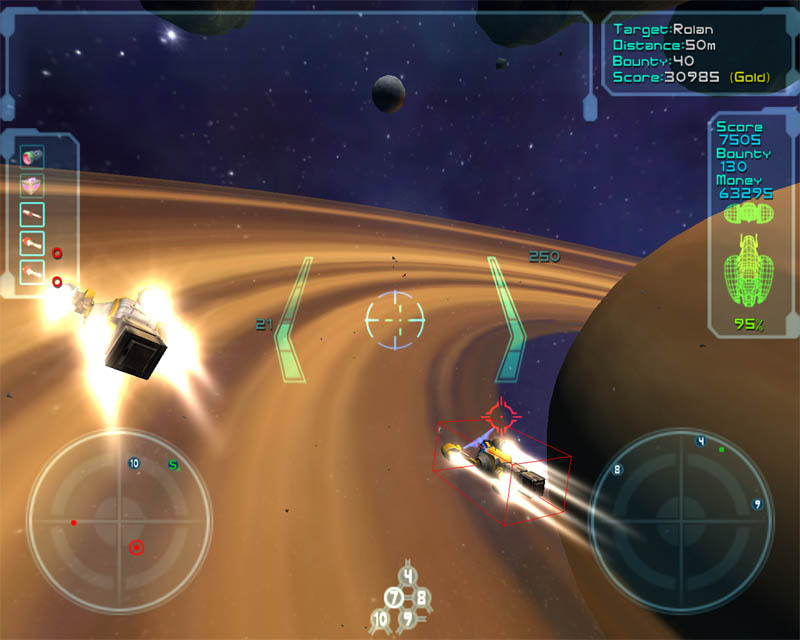 "Digital revenue," which includes downloadable games such as Wing Commander Arena was up to $570 million, with about a third of that being made for mobile phones. Full details are available here. This one falls squarely into the oldie but goodie category. 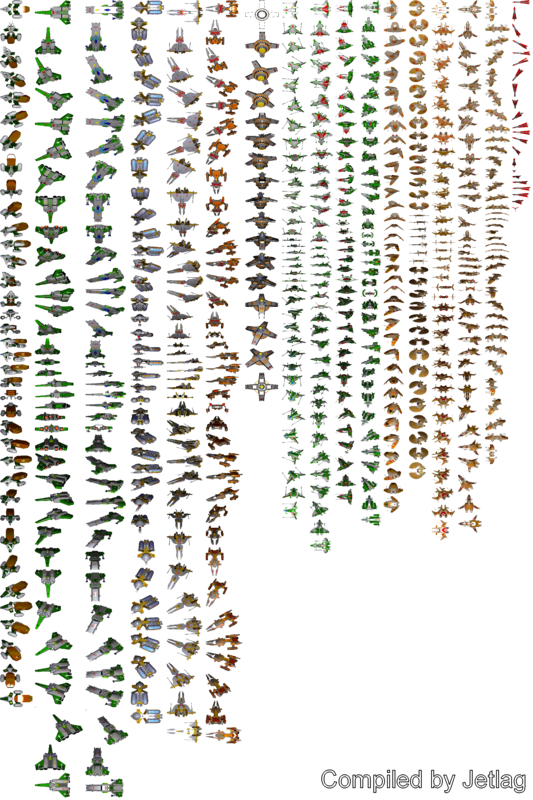 Many years ago Jetlag made a nifty composite image of all the various ship angles that HCl's WC1 Ship Viewer could produce. The picture never made it into the news, and it's quite impressive to look at. Check out the more than 40 views of more than 15 ships by clicking on the thumbnail below. 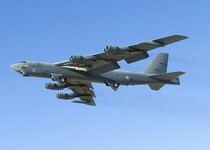 Four-views and six-views are what we call the front/back/side/top/bottom/angle images used in the CIC Ships Database. Here's something for everybody who likes blinking lights and switches (and who doesn't?!). 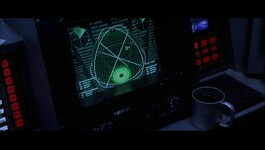 AD took these screenshots from a 1080p broadcast of the Wing Commander Movie, and they reveal some very intricate detail of the Rapier cockpit. 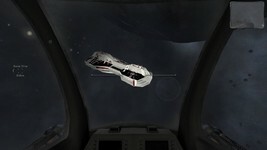 Now you can study the weapons telemetry indicators, jump drive initiators and gravitation sensor switches up close. Where's that Blu-ray, again? It's only been a couple short weeks since part 9 came out, but the 10th chapter of Frontier - Prelude to Darkness is already here! 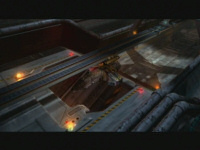 The scenes are designed primarily around setting up the plot for the second half of the movie. Check out the new video here or start the story from the beginning. akula65 tipped us off about a cool NASA app that lets people see when spacecraft will be in the airspace above their towns. Visit the page here, select your country and then drill down to your local area. Most observation opportunities are for the International Space Station, but there's a chance you could catch the Space Shuttle Atlantis streaking into orbit during its last planned launch starting Friday! 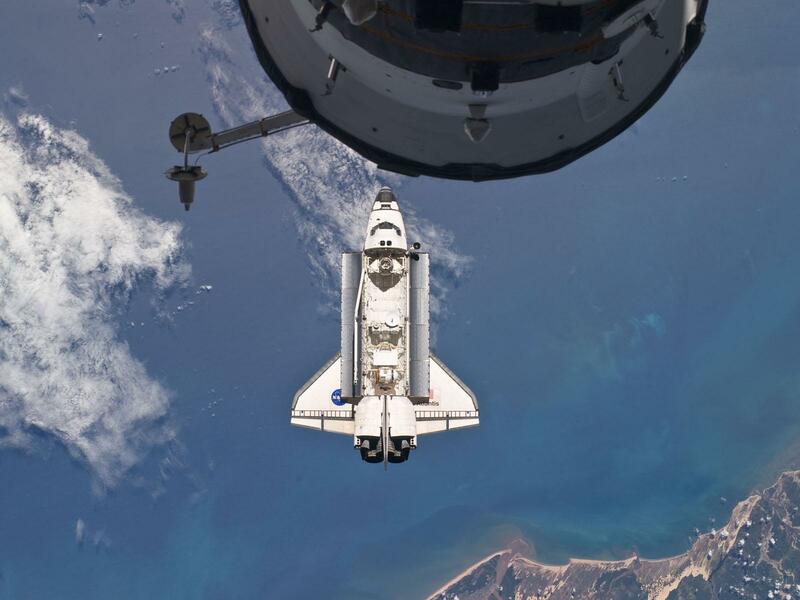 Look for ISS viewing opportunities during the first and last two days of the Atlantis mission, since Atlantis will be chasing after the ISS during these periods. 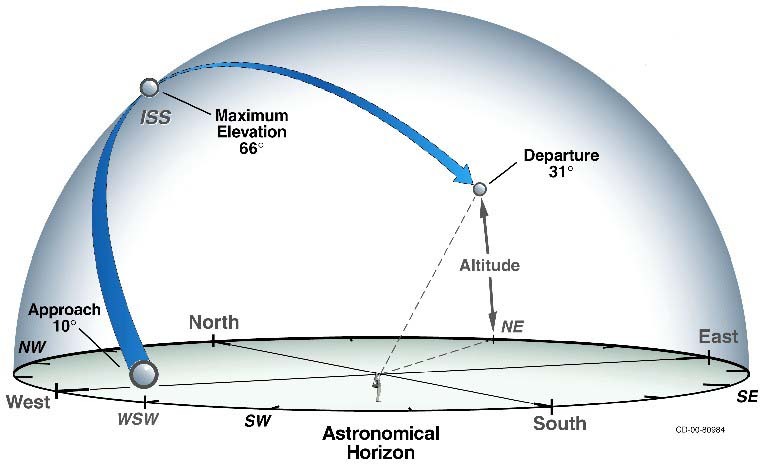 So if you see viewing opportunities on 14-16 May, then watch for Atlantis to follow essentially the same path as the ISS a few minutes after you see ISS. 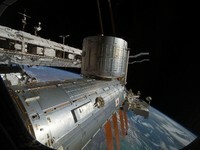 As the time for docking approaches on 16 May, the distance between the craft will diminish. 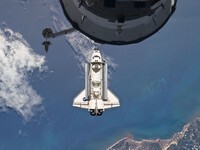 Atlantis will not be quite as bright as the International Space Station, but it is easily visible. Good hunting! 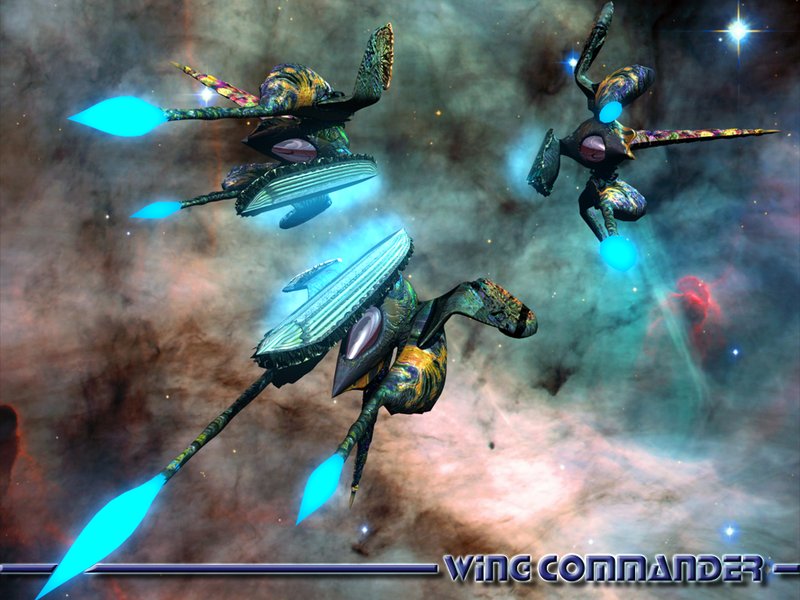 Gemini Sector is a new player in the Wing Commander MUSH world, and it sounds pretty neat! 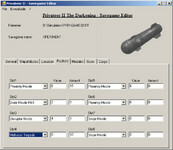 This text-based RPG allows players to assume the role of pilot, marine or crew member on a Bengal class carrier. The story involves Confed's resistance to a surprise Kilrathi assault that occurred in 2657. Players can connect to omen.genesismuds.com at port 2657 to start playing. Newcomers can also go to Mudconnect's page and click on Connect and Play Now to begin. Iceblade has put together a walkthrough to guide new players to the action. Feel free to post any questions to Crius.net and have fun! Just entered the game and had my first role playing event where my character interacted with several pilots in the bunkroom. I must say, the whole thing is actually a lot of fun. 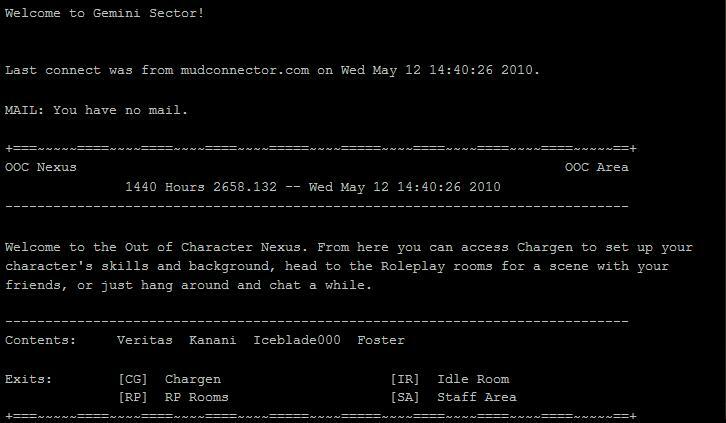 It is actually a lot like IRC, but instead of conversing as yourself, it is as a character in the WC universe (as a pilot or technicians in the TCSF, crew or command officer in the TCN or even as marine personnel in the TCMC). You end up making a lot of new friends rather quickly as you converse in and out of character with other people. There haven't been as many super sized file downloads in the news lately, so we're underrunning our bandwidth for the month. 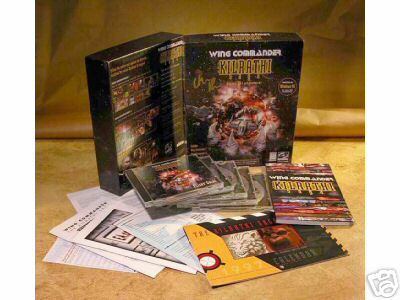 The Wing Commander Academy series is one of our biggest items, and it's a critical part of the franchise. 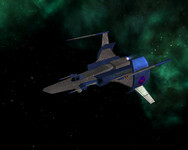 The thirteen episodes follow the TCS Tiger's Claw through an exciting year in Wing Commander history. First time watchers might want to check out the Viewers Guide to read about the difference between chronological and broadcast order. Grab all thirteen episodes, plus some special features, below. There's great news for Apple iPad owners! 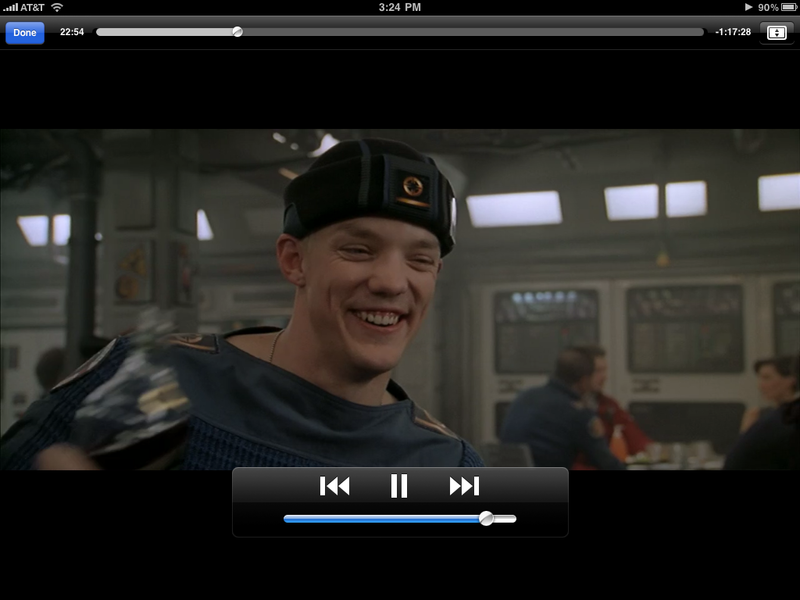 The Wing Commander Movie has been available for streaming or download on many different platforms, but it's now available in high definition for the first time on the iPad. 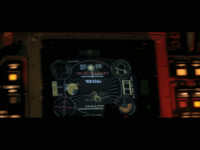 Although there have been a number of broadcasts of the movie in higher resolutions, this is the first time an HD version has been available for direct payment. It's not a perfect solution however, since it's currently only available to rent, and the iPad is limited to 1024x768 pixels. Make sure you grab the 3 gigabyte version, and not the 1.15 standard def edition. The older copy is also available on the PSP, PS3, XBox 360, Zune, via Amazon.com and more, so hopefully we'll see the HD version spread around more widely. Everything's coming out on Blu-ray eventually too, right? Here's some delicious screenshots. Electronic Arts has announced a new measure to control online access in their upcoming sports titles. Multiplayer over the internet will be accessible via an 'Online Pass' code that is included in new games. Used copies of these games will be able to obtain a pass for $10 or access a free trial that renters would take advantage of. Although seemingly a clear shot at the used game market dominated by GameStop, they have partnered with the company to cross promote point cards and downloadable content that will also be available. A FAQ has been posted to deal with questions. The first game to be affected will be Tiger Woods PGA Tour '11 next month. Electronic Arts Inc. today introduced Online Pass content from EA SPORTS™. Online Pass rewards game owners with a game-specific, one-time-use registration code for online services, features and bonus content. 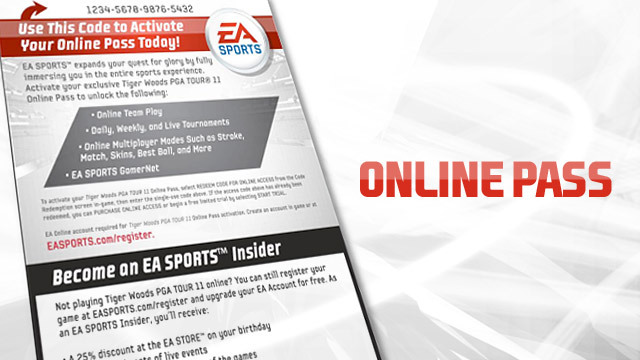 Each title-specific Online Pass may be used with upcoming releases of EA SPORTS simulation games on PlayStation®3 computer entertainment system and Xbox 360® videogame and entertainment system, beginning next month with Tiger Woods PGA TOUR® 11. The one-time Online Pass registration code comes included with each unit sold new at retail. Once redeemed, additional Online Passes will be available for $10. Fans also may sign up for a free 7-day trial to experience Online Pass. International pricing will be announced within territories in the near future. The days are getting longer, flowers are starting to bloom and trees are turning green (attention Southern Hemisphere vistors: please imagine the opposite), so that must mean it's nearly Birthday season again! The 12th CIC Birthday Party will be held in just three months on August 10, 2010. Things get going at 7:00 pm Eastern US time (4:00 pm Pacific and 11:00 pm GMT), so the event falls on August 11 for some people. 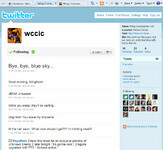 As usual, the venue is channel #Wingnut on the irc.wcnews.com server. Newcomers are always welcome to drop by via our easy Java interface. As Kris likes to point out, this year the CIC starts to span three decades (1990s, 2000s & 2010s), and there's a lot to celebrate! Check back for more details in the months ahead, and see you there! 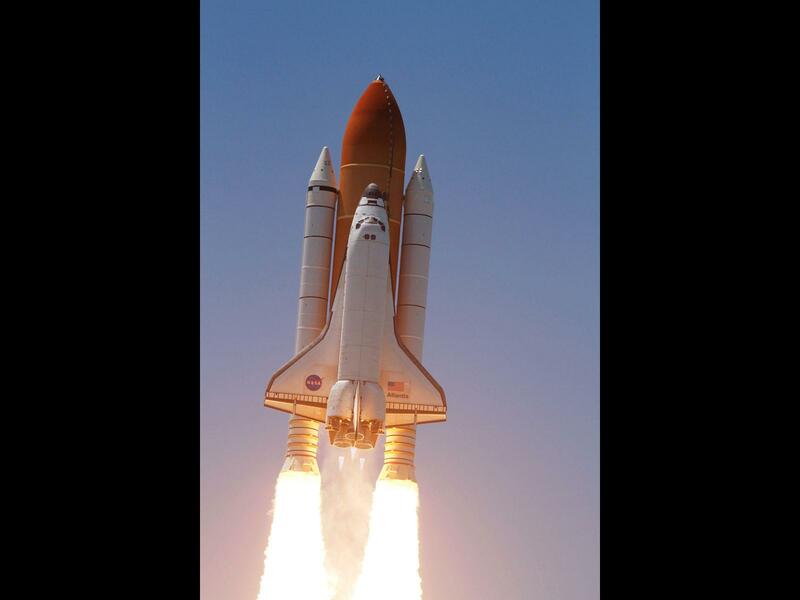 Wing Commander fans in Southern California have a cool opportunity to visit the NASA Jet Propulsion Laboratory this weekend. Their annual open house will be held on May 15 & 16 from 9:00 am to 5:00 pm. 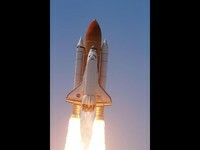 Wingnuts might want to target Sunday in order to see Flight Commander creator (and NASA expert) Eddie Benowitz show off some amazingly cool stuff. 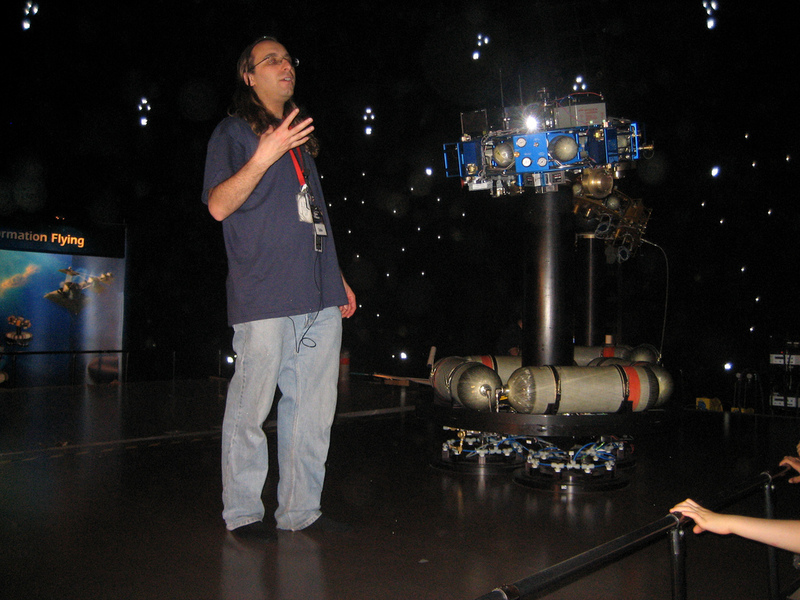 I'll be demoing at JPL's open house on Sunday May 16. 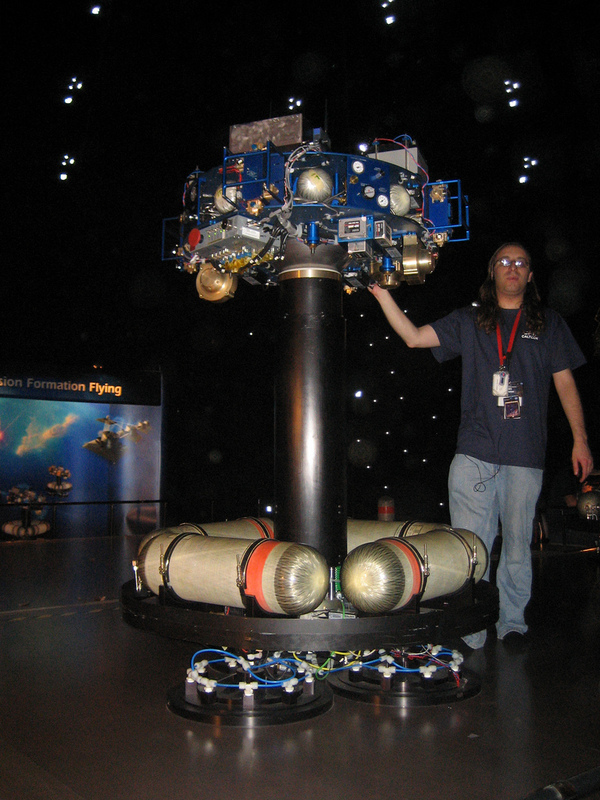 In the morning, I'll be doing RoboDome (huge robots that float on air like air hockey) and in the afternoon I'll be talking about MSL, our next Mars rover. Open to the public, come on down if you're in the Los Angeles area. Let me know if you plan on dropping by. How awesome is that? That's actually Eddie in the middle left of this picture. Find more details and directions to the Pasadena event here. Caution: no pets or segways are allowed on the premises. 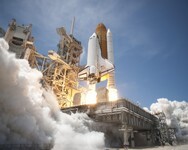 This popular event celebrates JPL's accomplishments with exhibits and demonstrations about the Laboratory's ongoing research and space exploration. Many of the Lab's scientists and engineers are on hand to answer questions about how spacecraft are sent to other planets, how scientists utilize space technologies to explore Earth and how researchers are searching for planets beyond the solar system. The WC Saga team has posted an update on the evolution of Confederate ship textures. The game has gone from a worn down look to a more polished style with a layer of shine on top. Despite the lack of updates this year, the team is still pushing ahead and hopes to reach a testing phase soon. Check out the feature here. We went forward with this concept, getting it modeled, skinned, and in game. But, as often happens, we can’t often see existing problems until you get an asset in the game. We realized that the worn down look wasn't working. So we made some adjustments and variations to the base map which made a marked improvement. In a twist irony, as time went by and the texture work began to get more fleshed out, the product became more and more military looking (which we were originally avoiding). 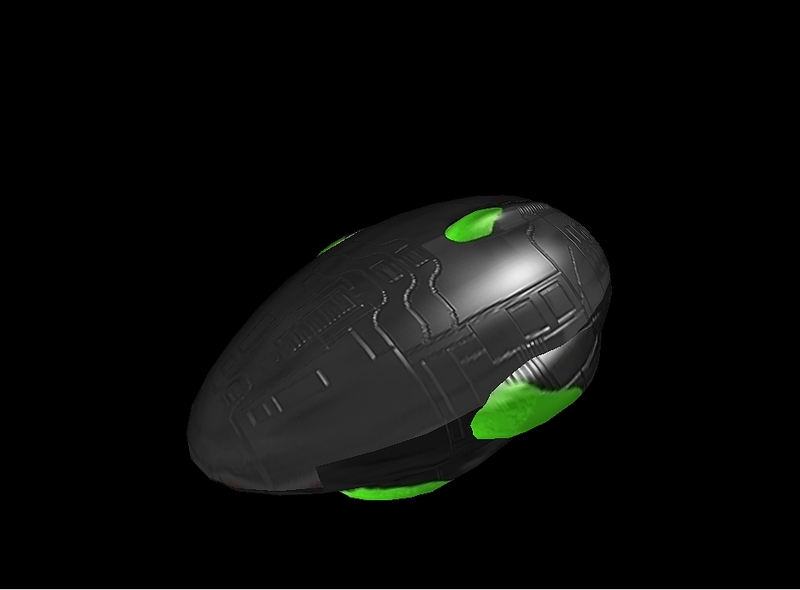 At that point in time we also added sophisticated armor plating. 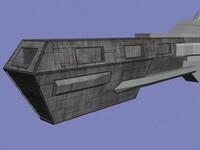 We actually had a good foundation to build upon thanks to the work done on the Kilrathi textures. We wrote a simple Photoshop script that creates armor plates in a matter of minutes (thus saving us a lot of time). A few months shy of the tenth anniversary of its release, MechWarrior 4: Vengeance has been released for free at MekTek. The game featured hot graphics for 2000, a cool story mode and some really fun multiplayer. 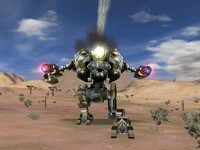 Customizing your big robots was also aways an engrossing part of the MechWarrior games too. How is this news to us? If a new MechWarrior or Wing Commander were made today, they would most likely fall into some kind of "action" genre, and while that's always been perhaps the best way to describe these games, they were actually co-members of a pretty substantial "simulation" genre back in the '90s. 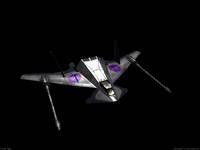 Though it might seem a little odd today, this relationship prompted a great many reviewers to compare this game to Wing Commander when it was launched. 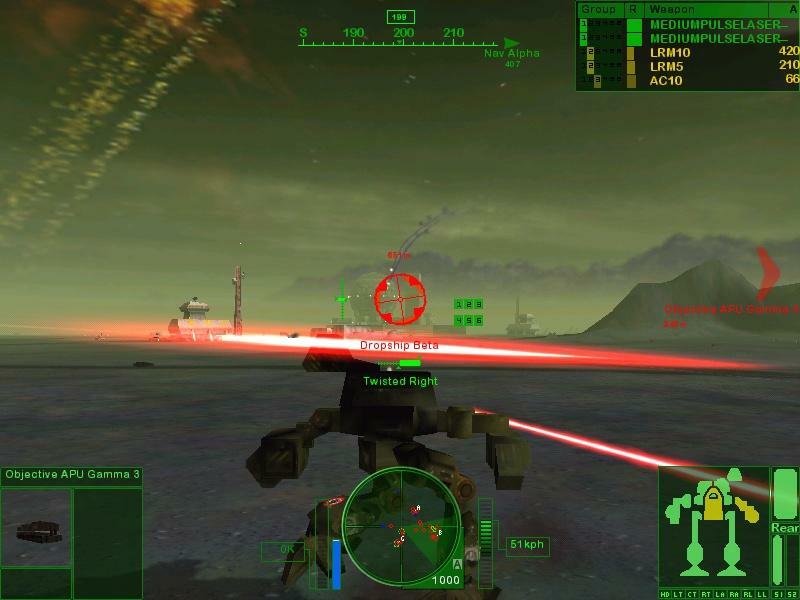 Studio MekTek, in association with Smith and Tinker, INC., Virtual World Entertainment, LLC, Catalyst Game Labs, and Microsoft Games, is happy to announce the release of Mechwarrior4 Free. Getting started is easy. Just download and install MTX, MekTek's free content delivery and updating system. Once installed, simply click the Games Available tab, select Mechwarrior4: Mercenaries and click install. The game will download and install, all within MTX, and as updates become available, MTX will help you keep your game up to date. Once again, a big thanks to Microsoft Games and all of our partners for making this free release possible, and a special thanks to all of you in the community. Without our community, MekTek wouldn't be what it is today. Your continued support and financial contributions have made all of this possible. 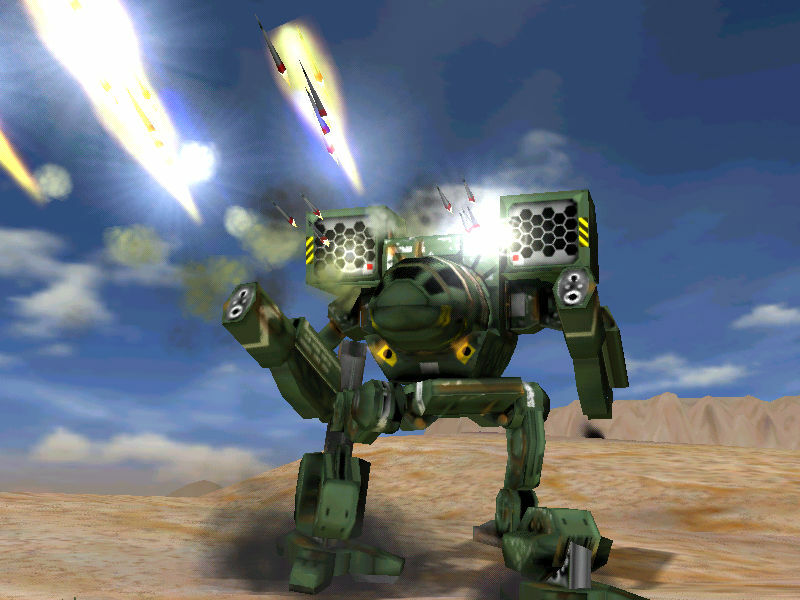 Download Mechwarrior4: Mercenaries Free Release (1.7 GB) via MTX today! "I'm putting you back in the cockpit..."
"...where you’ll be reunited with an old friend: the thrill of battle." 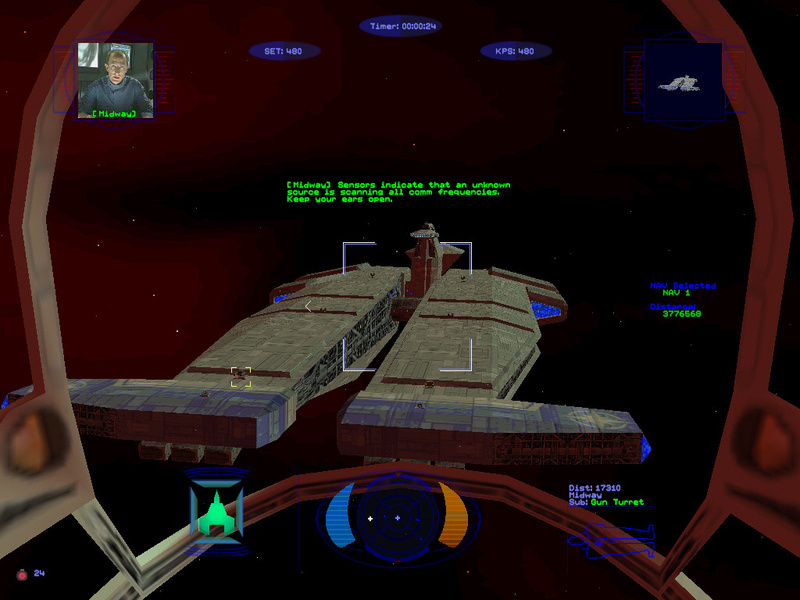 Highball is in the process of replaying the entire Wing Commander series, and he's chronicling each game as he goes. The sense of rediscovery that he conveys makes this a good read, and there's lots of nice screenshot to accompany the recollections. 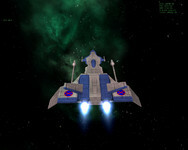 Most of the Wing Commander series is still yet to be replayed, so more updates will follow. Visit his page here. 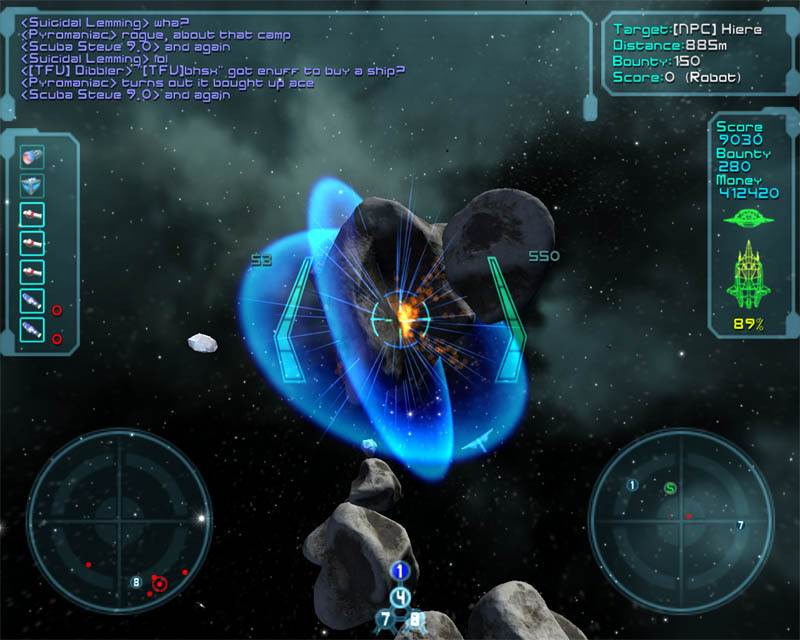 At the beginning of this year (2010.01), I decided that it was time to revisit a game that I greatly enjoyed during my youth, and have many fond memories of playing: Origin’s Wing Commander. With the advent of DosBox, all the games in the series were playable again, and I figured I’d fly a few missions for old time’s sake, think back nostalgically about what the game was like and what it meant to me then, and move on after a little while. 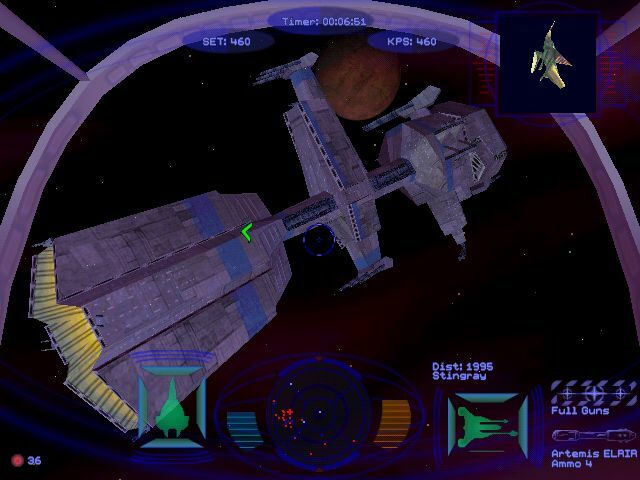 I played a few missions of the original Wing Commander, and found myself coming back time and time again to take the fight to the Kilrathi the way I used to back in the day. The game had the same effect on me at age 27 that it did at age 12: cool factor 50. What started out as something I figured I’d do for a lark turned into a cross-decade odyssey across gaming, seen through the Wing Commander series. Below, I hope to document my experience with the games as an adult versus how I remember them from my teenage years, and chronicle the moments I’ve had with the game since I picked it up again. 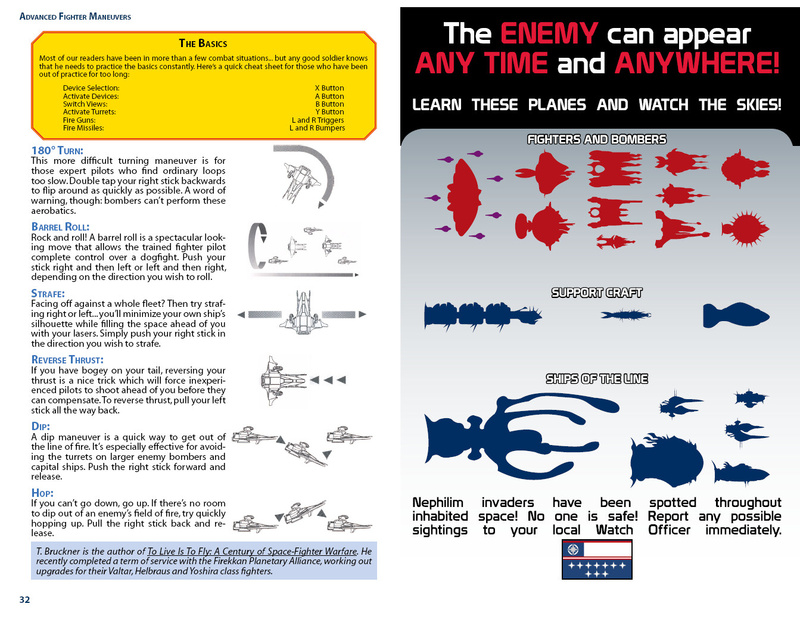 Perhaps other Wing Commander fans (“Wingnuts”) will be interested in browsing these pages. Who knows? All screen caps are of actual screens from my computer, not pictures I pulled off of the internet. 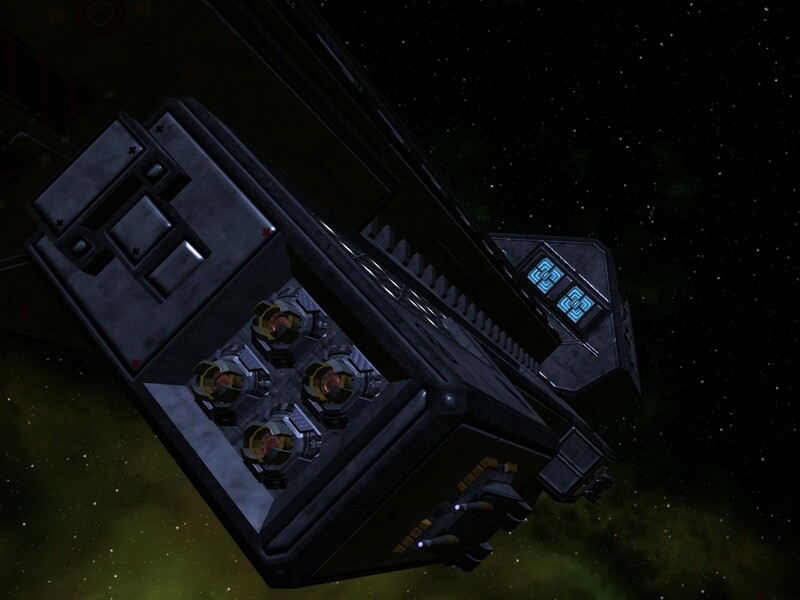 Space Sim Central has posted a new interview and screenshots for the upcoming Miner Wars game. 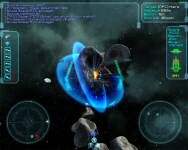 The developers are attempting to implement some huge asteroid and planetoid environments for players to interact with. It's also an interesting hybrid game with both a single player story and massively multiplayer elements. Check out the new Q&A here. 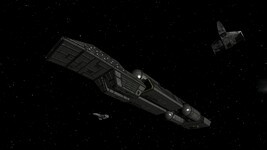 SSC: It has been talked about that the Miner Wars universe is going to be a decent size with maybe thousands of sectors. Right now you can either use your base ship to move to different sectors or fly through them yourself. 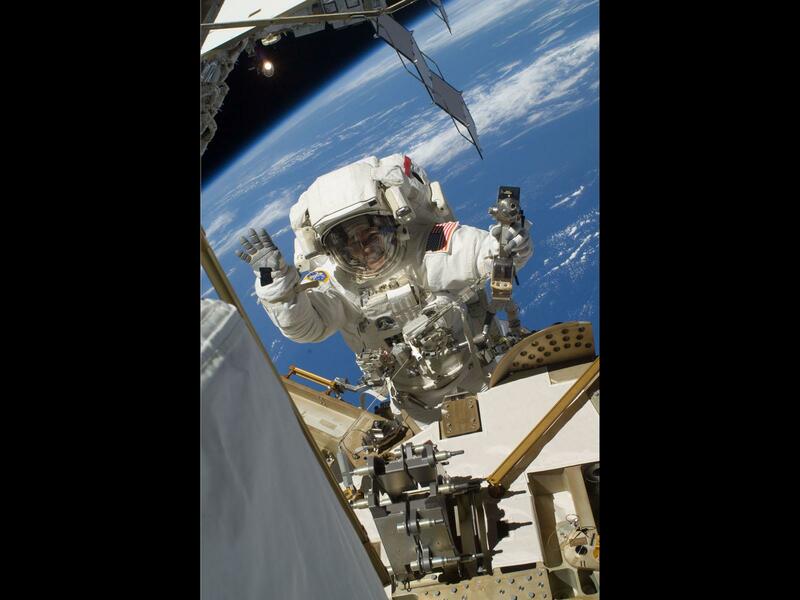 Is there a limitation on the distance you can travel because of fuel or oxygen? And if so what is the average distance a player can go before they have to replenish fuel or oxygen? 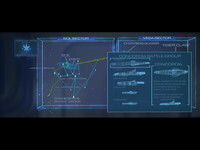 MW: Yes, it’s possible to travel from sector to sector by your ship. Fuel and oxygen will last for about 4 sectors, that’s between 30-60 minutes of game-play. Although it depends on player’s ship, engines, extra fuel tank, etc. And you can also replenish your oxygen reserves meanwhile so basically you can keep on going till you fall asleep. 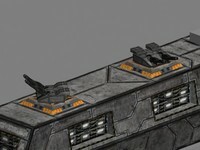 SSC: In Miner Wars do you have to take into account the weight of items like installed equipment, weapons, ammo, fuel and cargo? Will weight slow down the overall speed of your ship or make it less maneuverable? MW: Yes. 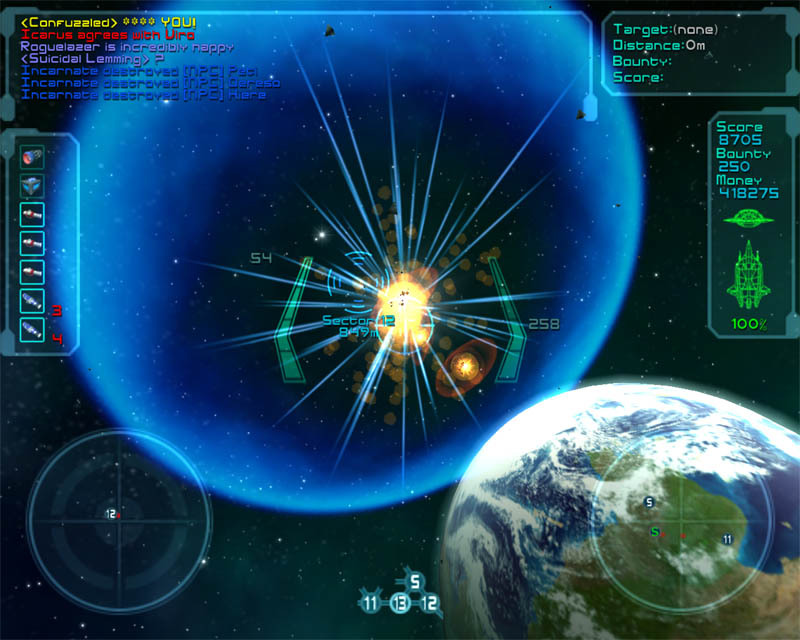 Every ship and all the equipment will make an impact on your ship maneuverability. 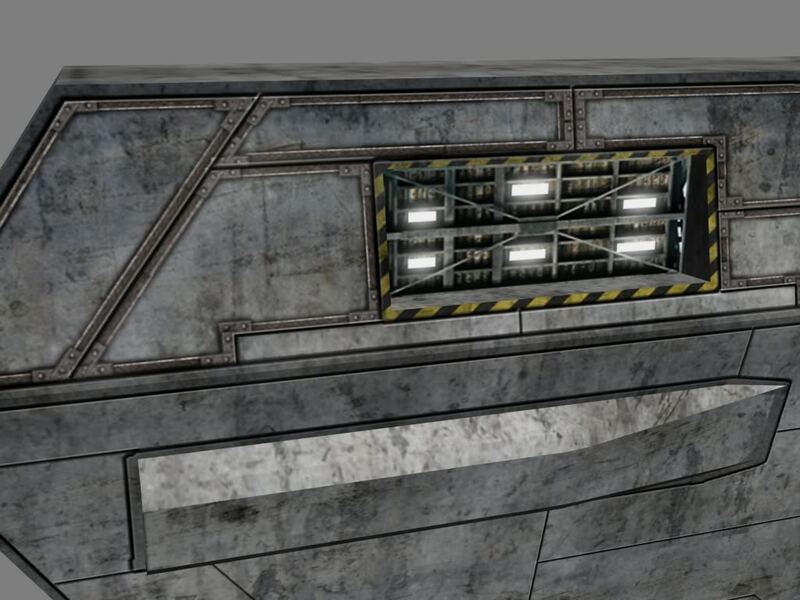 So if, for example, you attack a player and loot all his belongings, on your way back to the mothership/space station, your ship with the cargohold filed will be far less agile than normal, so you yourself will be in turn a valid and most likely easy target for other players on the hunt. There's another update to JasonRocZ's Arena-inspired Nephilim craft, the Tarpon. It's a pretty good rendering of what started as a small red silhoutte in Star*Soldier, and we're anxious to see it working in the vision engine. The skin of the craft looks particularly effervescent now. I revisited the Tarpon. The textures and a few of the shapes were updated quite a bit. 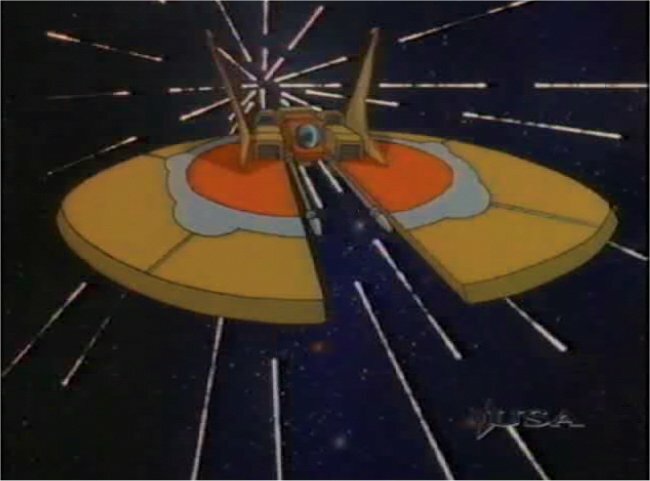 I wanted this to be similar to how the Wasp fights with some type of Swarmer missile racks. 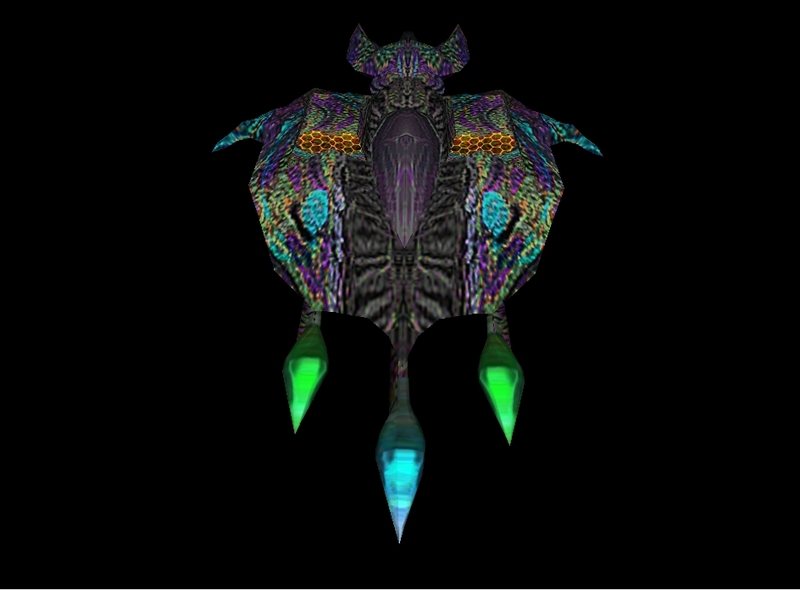 Although the ship is not really an interceptor, the Nephilim Swarmers sounded like a fairly cool idea, so I added something of a honeycomb effect on the top of the ship. Hopefully I can get done with all these ships at some point. I've already implemented most of them into the engine, but there's a few of the Nephilim which still need to be done. I'm also still working on the Earwig. Enjoy. Hostile Frontier Kicks Off "Dev Diaries"
Kevin Caccamo has posted several updates to his addon/mod to the WC Saga Prologue. He's released shots of the latest texture updates to the WC Hostile Frontier Rapier and Raptor. Standoff fans should find the Raptor familiar, and the Rapier has been heavily inspired by Dean McCall's movie concept art. The blue and red roundels are intended to represent the Republic of Landreich. This is the first in what will hopefully be a series of 'dev diaries' on the continued development of the project. Here's some of the new stuff that I've been working on for the past few months. 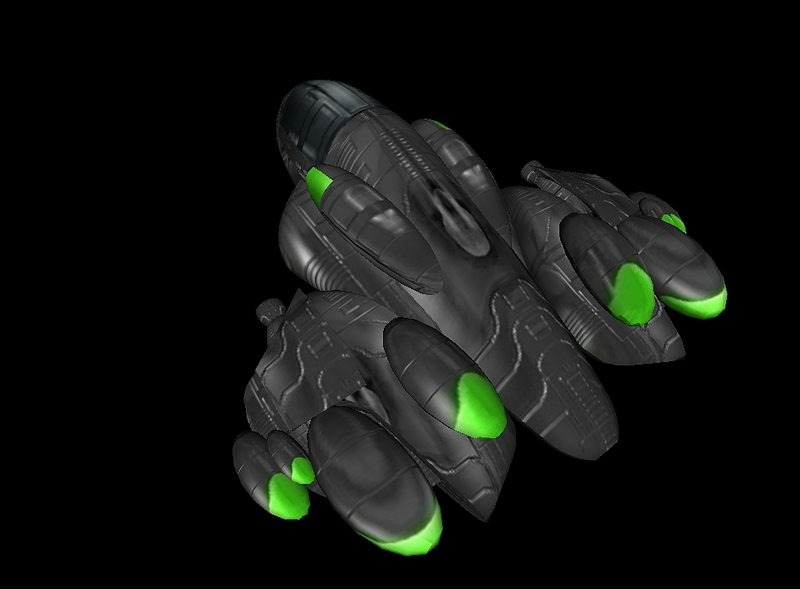 I've been experimenting with GIMP to make textures for the ships. Here's what I came up with for a Landreich Raptor. Thanks to the Standoff team for the Raptor model. The base texture is made of three layers: a plain white layer, a layer with Perlin noise, and a pixellated noise layer. On top of the base texture, I have a multiplicative layer for the coloured parts of the ship and a layer for stuff like the cockpit glass and the intakes. I also have two invisible layers for the bumpmap and the UVs. 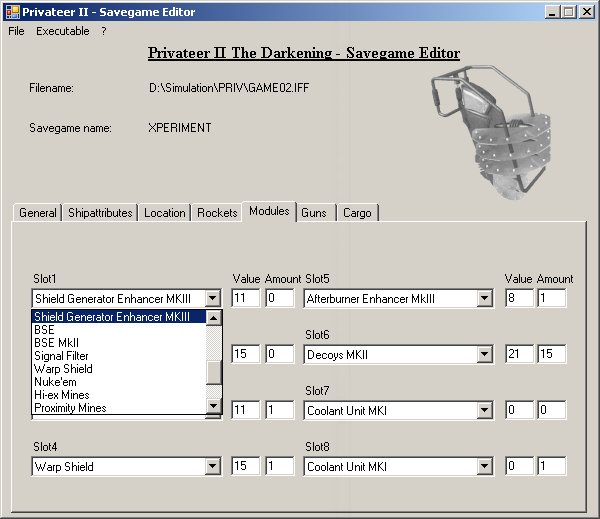 There's more updates and improvements to Privateer Ascii Sector. Versions 0.6.4.2 & 3 add some logistics-type updates in addition to new bug fixes. And especially for Wingnuts who've never played the game, Youtuber JujuDawg has also posted a series of "Let's Play" videos that highlight many wonderful aspects of the game. Check them out here and then fire up your Tarsus! - Fixed bug with faction of ejected pilots. - Fixed bug with inventory weight when capturing and releasing an NPC. 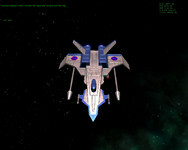 - Fixed bug with a character you have to transport not being able to find a path to your ship. - Stuff in your backpack can now be sold at the equipment shop. - Slowed down the walking speeds of NPCs when not in combat mode. 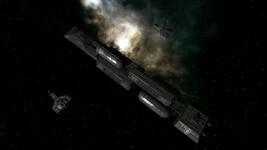 - Commodity events no longer happen at naval, pirate and research bases. Electronic Arts has been experimenting with a variety of different business models for a handful of their latest products. From its budget priced downloadable games like Battlefield 1943 or WC Arena to possible super sized pay-to-play demos, the company has shown its willingness to take a few risks and try new things with its pricing. 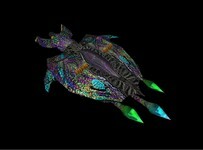 The trend isn't all new either: entirely free Lord of Ultima takes a cue from Wing Commander Secret Ops. Future games will also likely be supported by micro transactions, selling small incremental pieces of the game on top of or instead of a regular up-front payment. 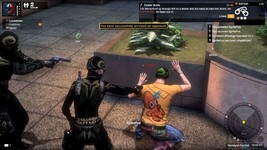 The latest concept is the payment model announced for the upcoming MMO APB. In addition to a $50 starter pack and $10 monthly fees, the game also has an option to buy game time at the rate of $7 for 20 hours. On top of that, there will even be avenues to earn play time for doing outstanding things within the game itself. 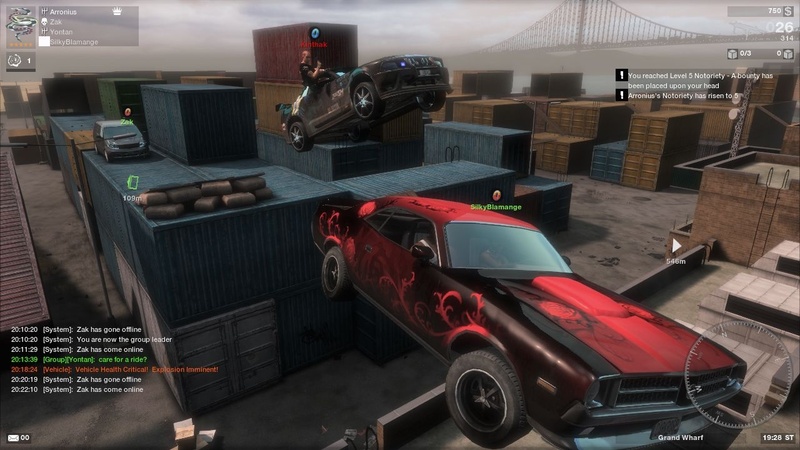 APB takes the universal theme of Criminals and Enforcers and brings it to a persistent, open-world, online multiplayer setting in the modern, crime-ridden fictional city of San Paro. Some players will achieve notoriety by feeding on the city, its people and its businesses…the Criminals. Some will live by a higher code and instead feed on the criminals and their organizations…the Enforcers. This dynamic where players become the core content for other players is one of the many unique features of APB. In addition to this flexible payment model, players can also earn game time by actually playing the game. APB provides avenues for accomplished gamers or creators to earn rewards for their creativity and subsidize their ongoing costs with their in-game efforts. 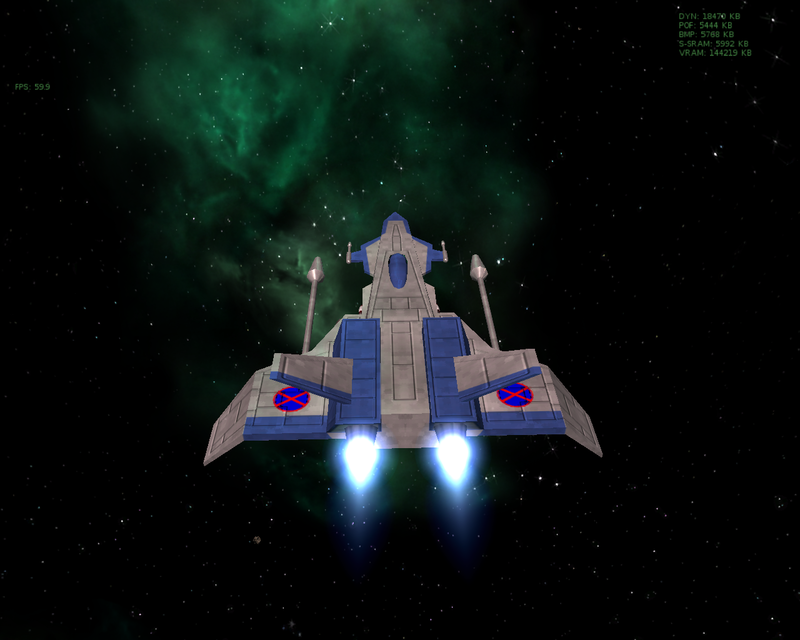 CrazySpence has put together a really cool plugin for the Vendetta Online MMO space sim. 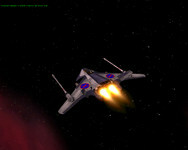 His addon replaces the game's native sound with classic tracks from the original Wing Commander game. Download the patch here (8 meg zip). Spence is continuing to work on additional updates to his plugin in the form of an on/off button, different music variation and more in the future. Although you might hear about Eve Online or Jumpgate more often, Vendetta Online has been successfully plugging along for more than five years! They're currently running a free trial for eight hours of game time and otherwise run $9.99 a month. If you're not able to play right now, you can just listen to the tunes in CIC Music or after purchasing Wing One. 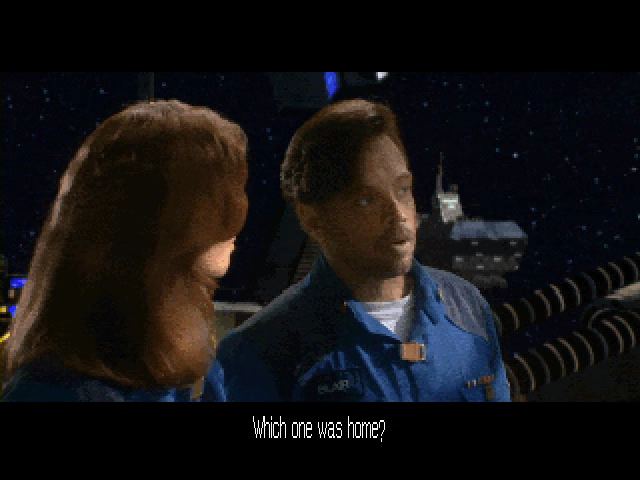 I have created a plugin for the game Vendetta Online that replaces the audio tracks with Wing Commander 1 to pay homage to the greatest game ever. The short patrol tracks can become....tedious when spending long amounts of time flying through the universe but the nostalgia value is quite high especially when engaged in combat to Wing Commander's battle music or when docked with a station listening to the music from The Claw's bar. 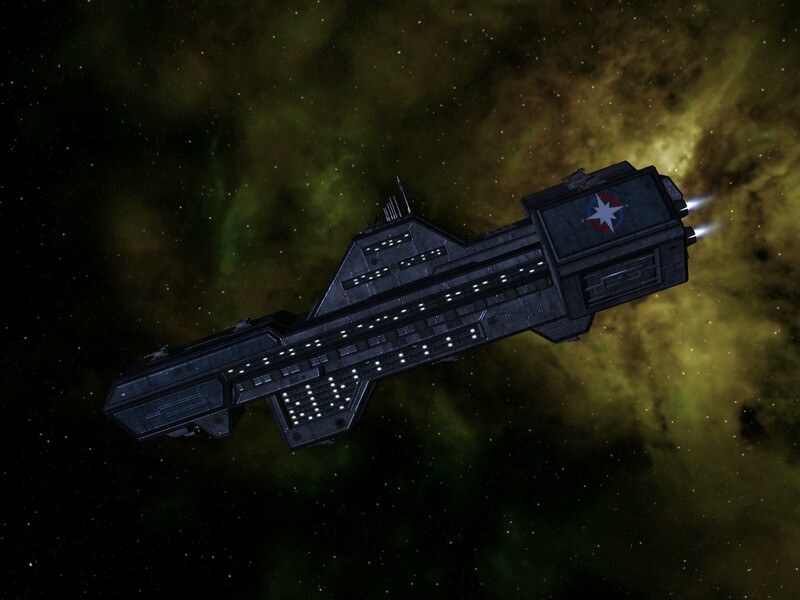 On this day in 2665, the TCS Concordia came under attack in the Gwynedd System. 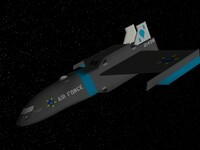 Captains Christopher Blair and Elizabeth "Shadow" Norwood responded and engaged the oncoming Kilrathi fighters. 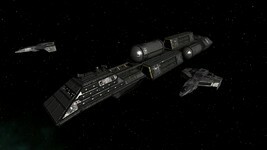 Unfortunately Shadow was boxed in and killed during the battle, but the Concordia was saved. 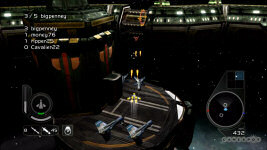 Major Payne is working hard on incorporating the multi-tiered Galactic Conquest mode into Wing Commander Invasion. He's had limited success so far, but other good work on version 3.0 of the Empire at War mod continues. Some of the planned additions are detailed below. More Anyway, that's it for now. This may also mark the final (except for bug fix patches) version which I do, as I can't see a massive amount of extra things I could add after this. The staff at the CIC has been investigating Nephilim salvage, and the results are disturbing! 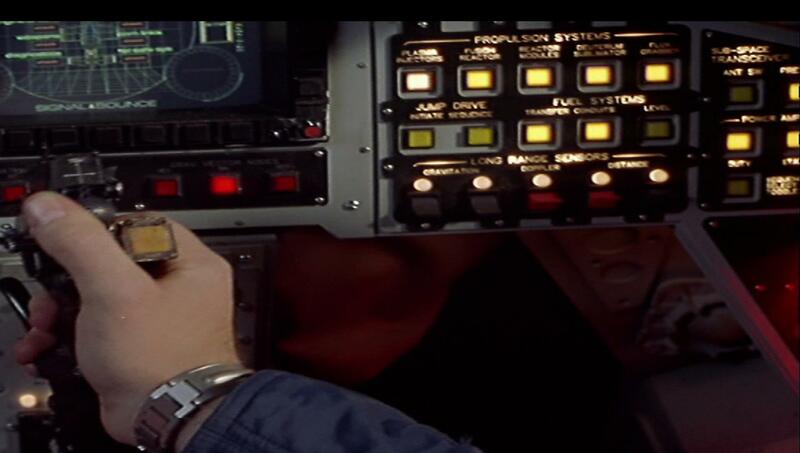 Small pastel F and T buttons have started to appear throughout the site, and they can be used to share your favorite Wing Commander news stories on Facebook and Twitter. 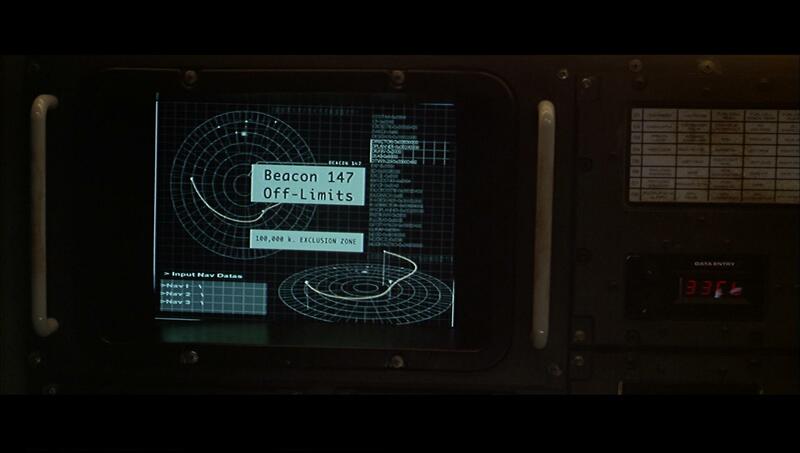 In order to combat this new menace, the CIC has crossed through the wormhole gate and established a Facebook Page to serve as a social networking base of operations. Head over and hit the 'Like' button to follow us. Feel free to add last month's Twitter feed as well. See you in space! 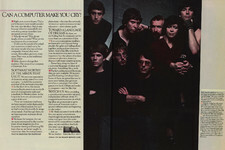 Here's a classic ad that many of you probably haven't seen before. It dates back to a series of print advertisements in the early 1980s soon after Electronic Arts was founded. 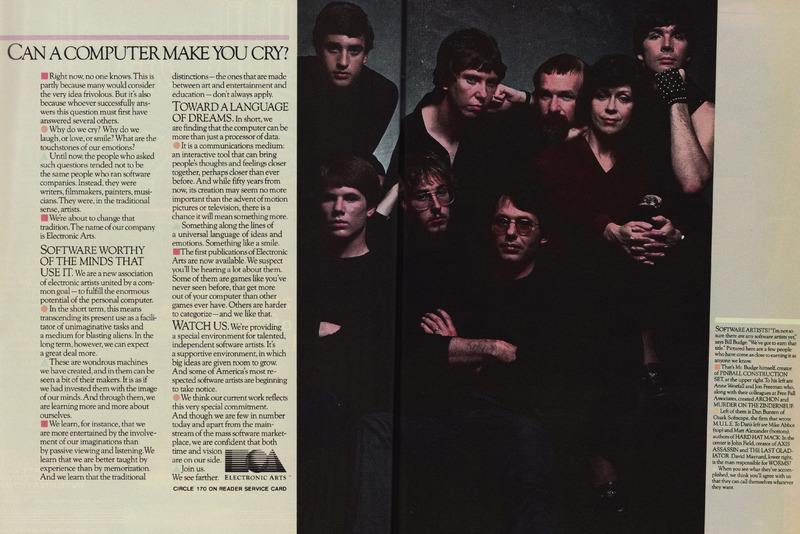 It posed questions such as "can a computer make you cry?" and vowed to make "software worth of the minds that use it." You can read a little bit more on the history of these at Byte Cellar or Chris Hecker's website. In short, we are finding that the computer can be more than just a processor of data. It is a communications medium: an interactive tool that can bring people's thoughts and feelings closer together, perhaps closer than ever before. And while fifty years from now, its creation may seem no more important than the advent of motion pictures or television, there is a chance it will mean something more. Something along the lines of a universal language of ideas and emotions. Something like a smile. The first publications of Electronic Arts are now available. We suspect you'll be hearing a lot about them. Some of them are games like you've never seen before, that get more out of your computer than other games ever have. Others are harder to categorize—and we like that. The recent WC3 unboxing got us thinking about all the awesome goodies included with various Wing Commander titles. Amazing instruction manuals are a given, but what other bonus items do you like to see packaged with your WC games? The options above aren't an all-inclusive list, so hit the Discuss link below if there's something you love that we missed! The last poll asked about everyone's favorite Kilrathi character. Prince Thrakhath took the top spot, with Ralgha nar Hhallas not far behind. The barons Melek and Jukaga fought it out for third place. Bonus question: who knows where the 'baron' title for Melek came from?